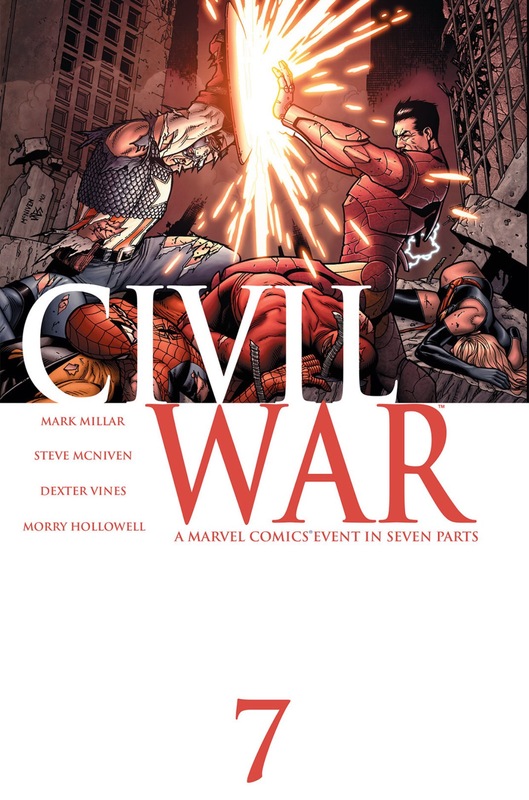 I just finished reading this and it was a lot better than I thought it was going to be. 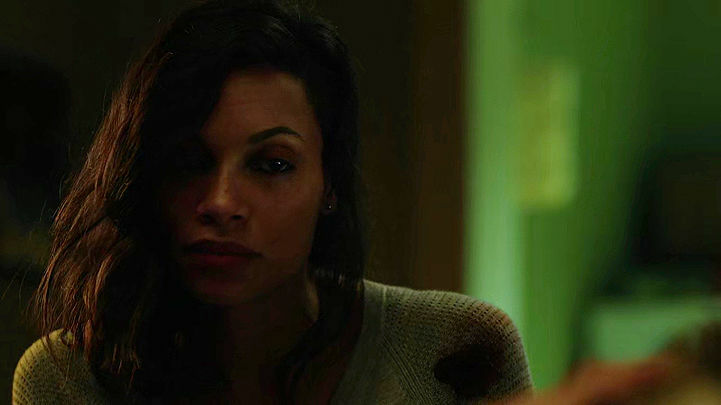 The Jackal is back and has conquered death. 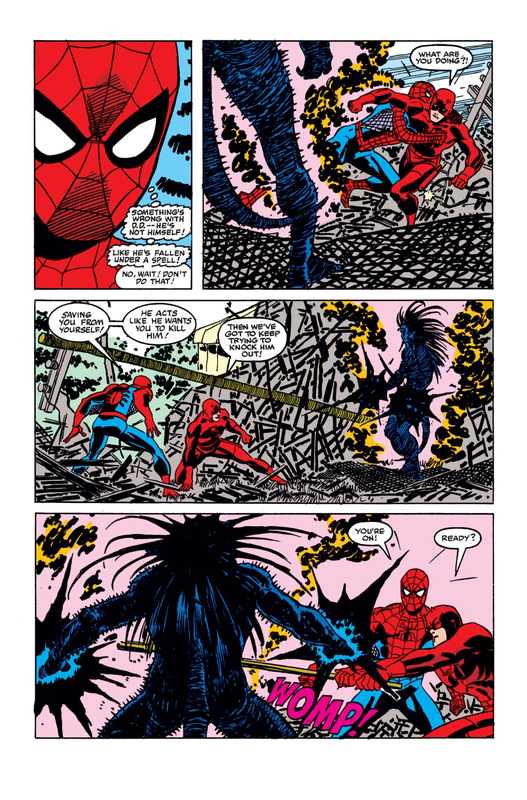 The Amazing Spider-Man is outmatched by his classic enemy’s army. 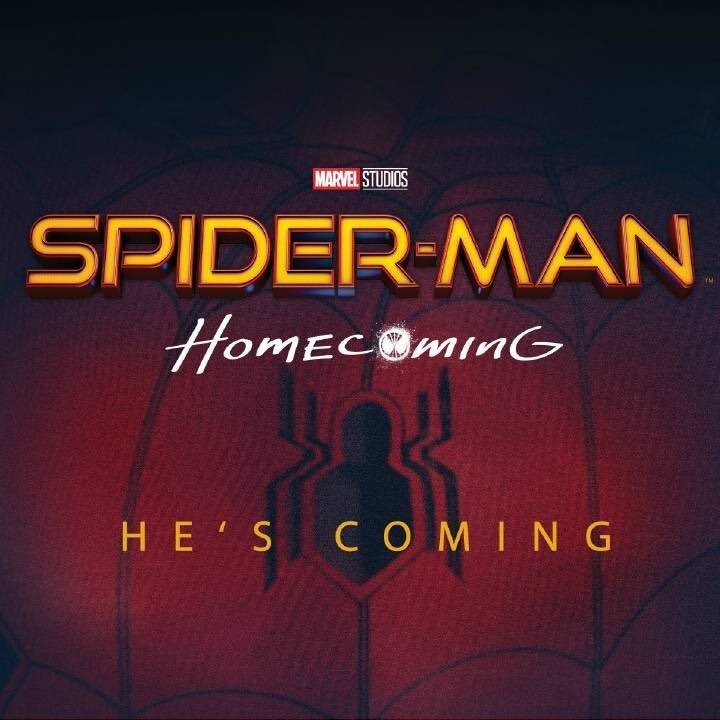 Does the wall-crawler stand a chance? 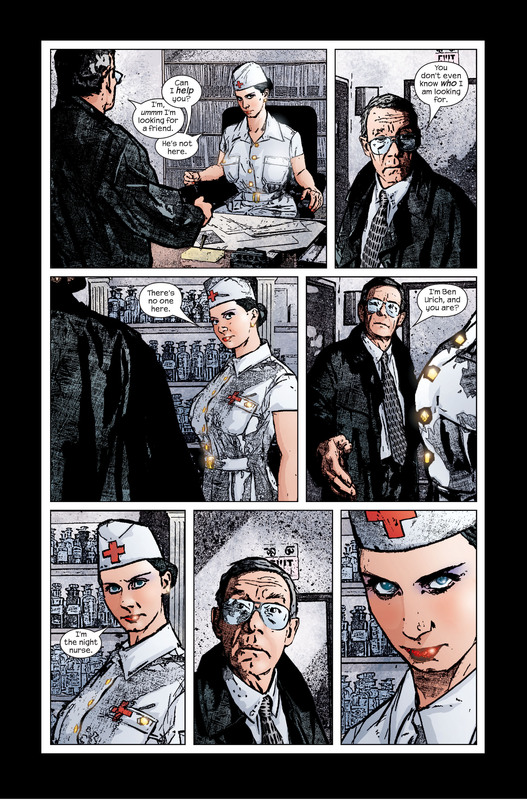 SHOULD he stand in The Jackal’s way if he’s found the key to eternal life? 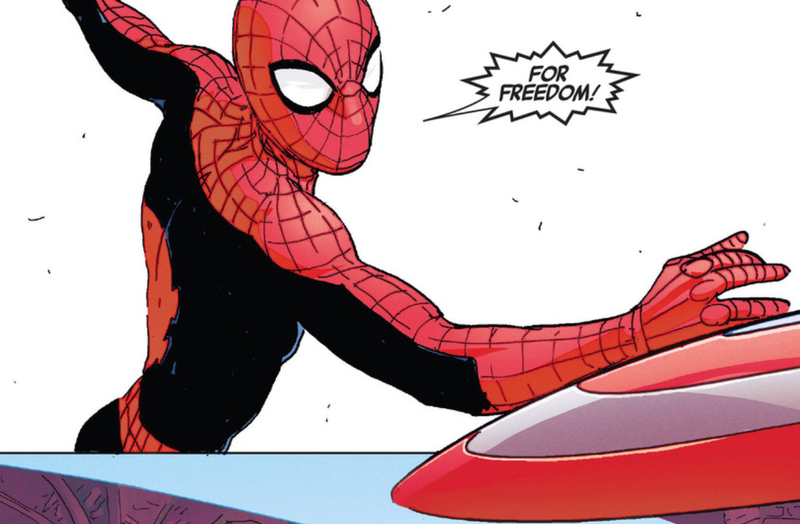 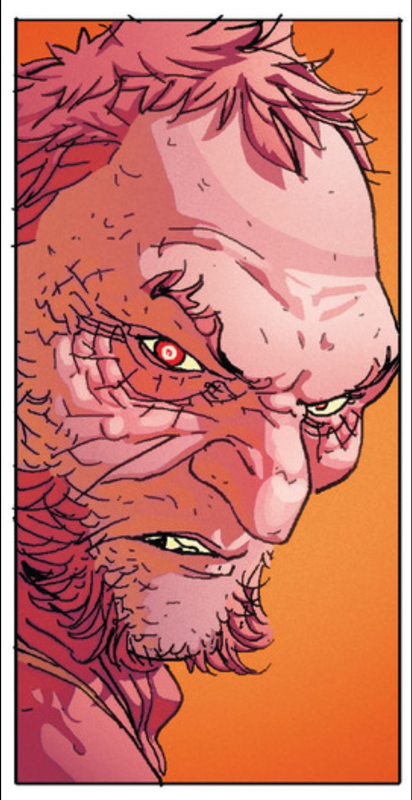 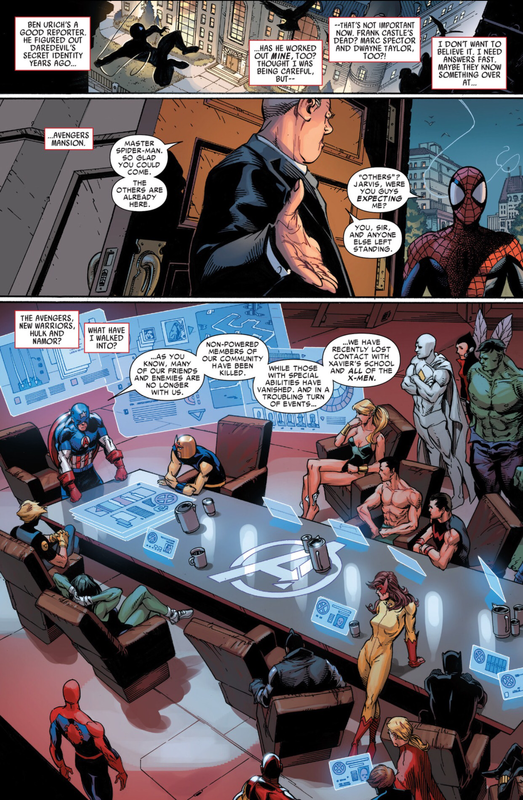 Marvel‘s next Spider-Man event kicks off here and when writer Dan Slott said this is a key issue it is. 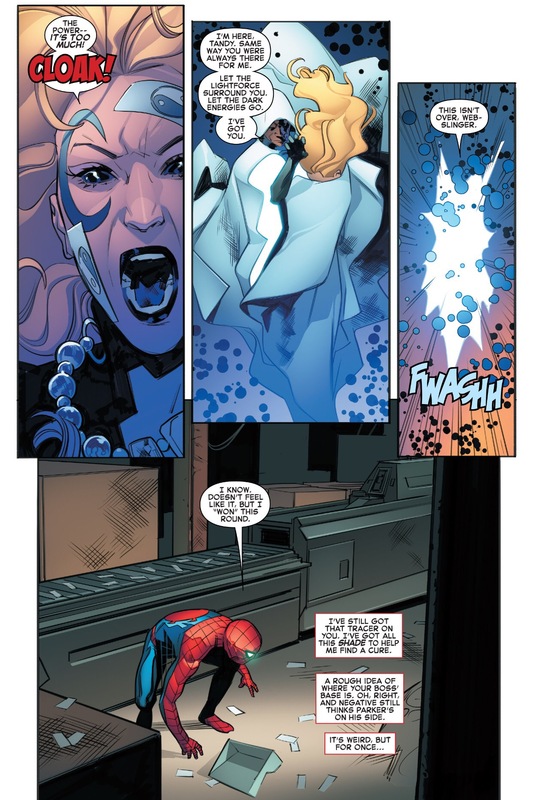 I won’t say this is quite the level as say the Doctor Octopus reveal which Slott compared it to, but it’s definitely an important comic for the story. 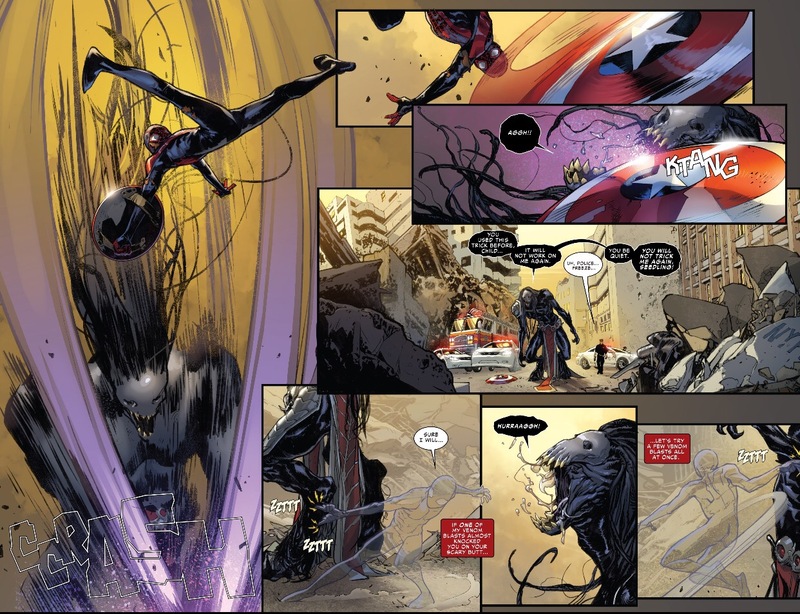 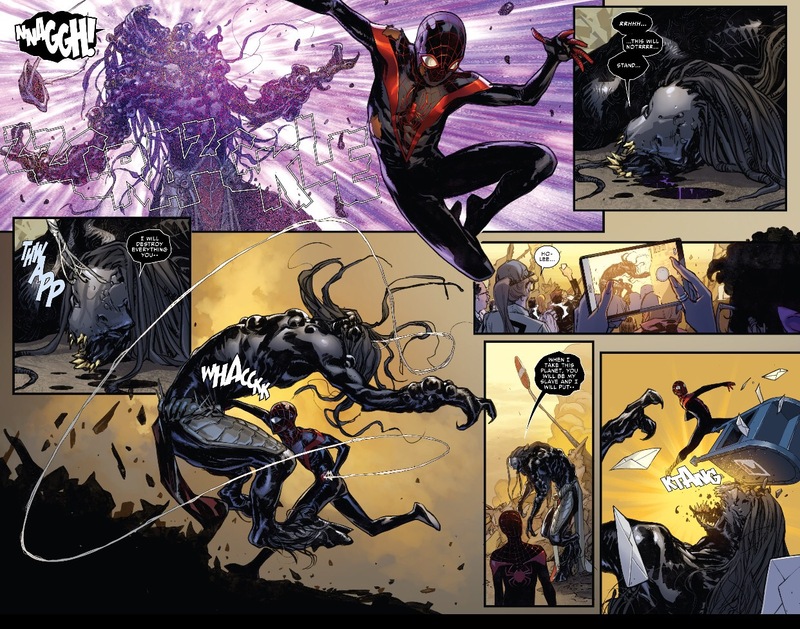 The Clone Conspiracy #1 really brings together the lead-up and lays things out on the table as far as what’s going on when it comes to “Dead No More.” The “clones” are explained as Spider-Man goes through the recent history and does some research to figure out what’s going on. 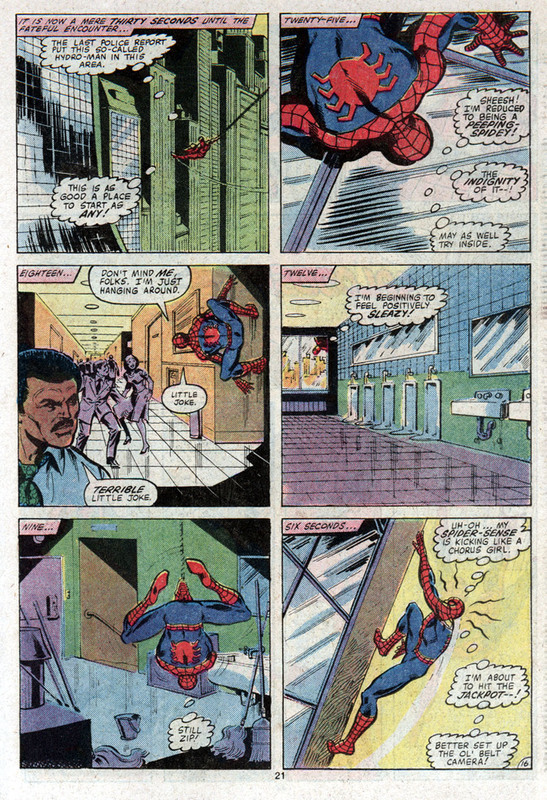 This entry was posted in Amazing Spider-Man and tagged amazing spider-man, clone on October 12, 2016 by lowbrowcomics. 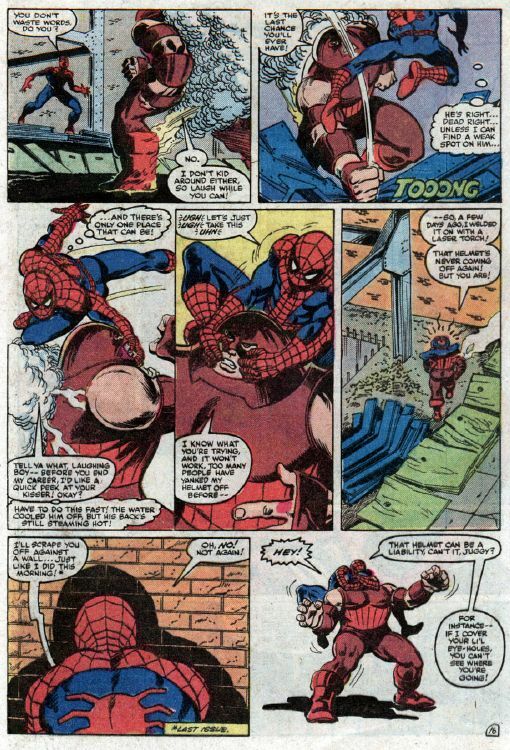 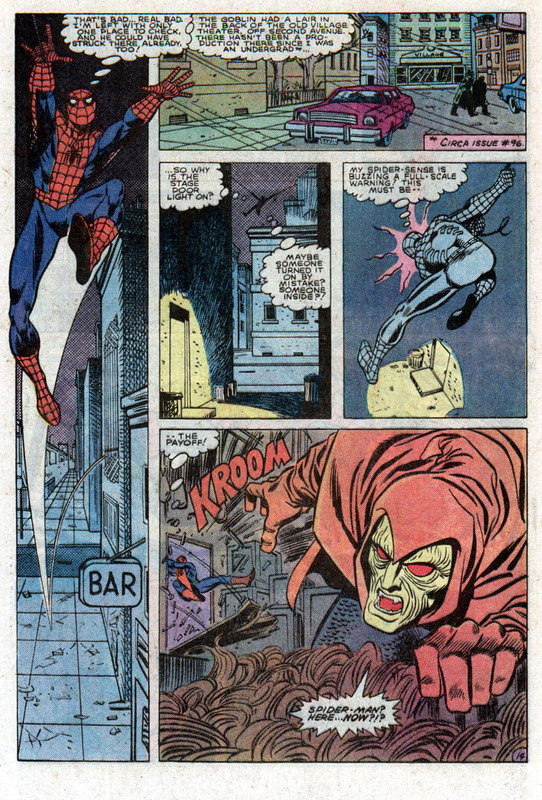 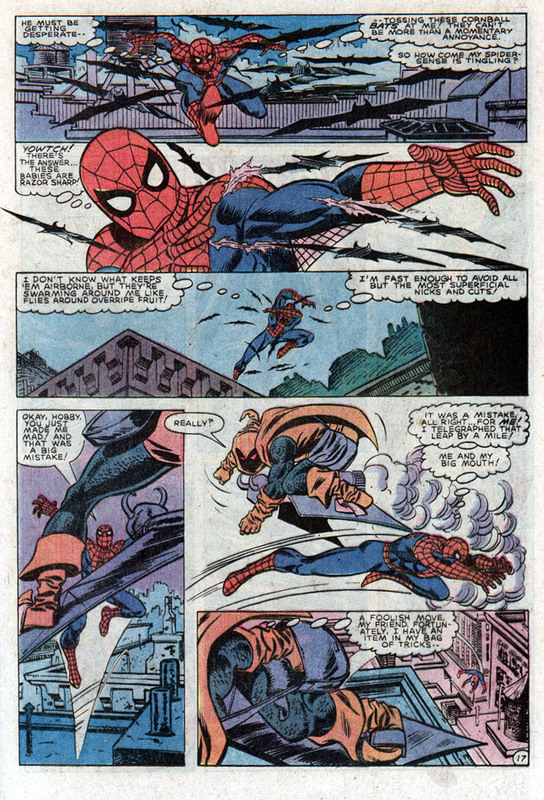 This entry was posted in Amazing Spider-Man, Marvel Comics, Versus and tagged Hobgoblin on March 6, 2016 by lowbrowcomics. 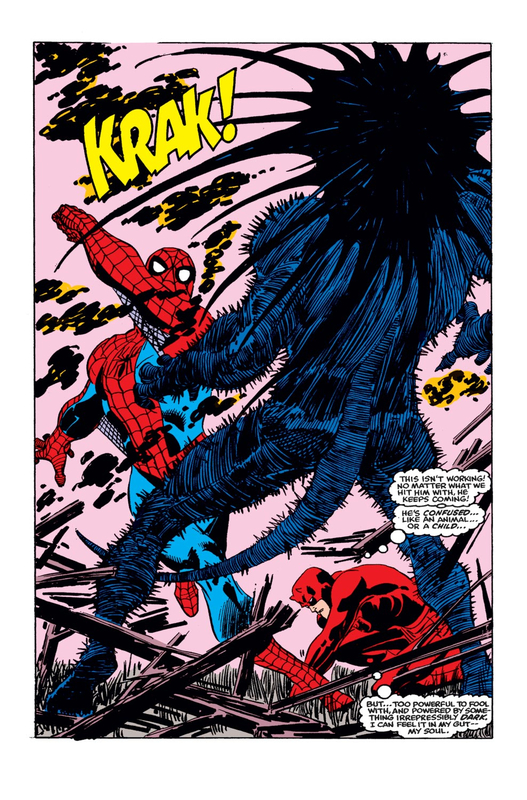 This entry was posted in Amazing Spider-Man, Marvel Comics, Versus and tagged amazing spider-man, Tarantula on March 6, 2016 by lowbrowcomics. 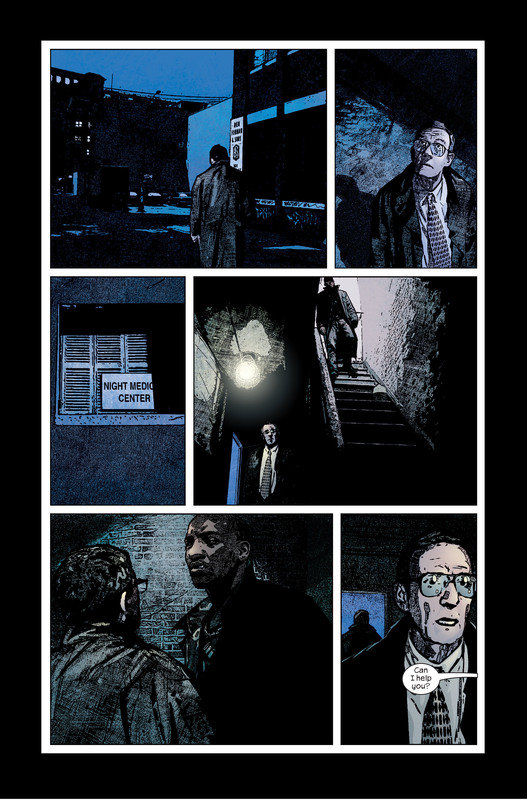 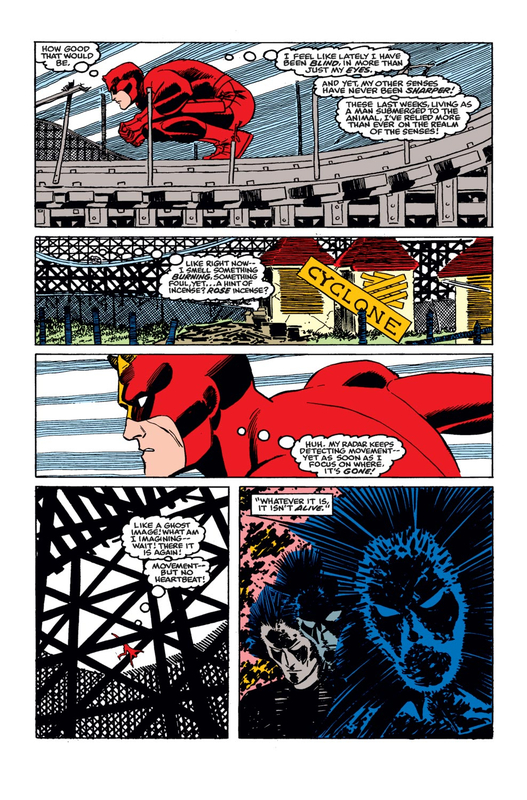 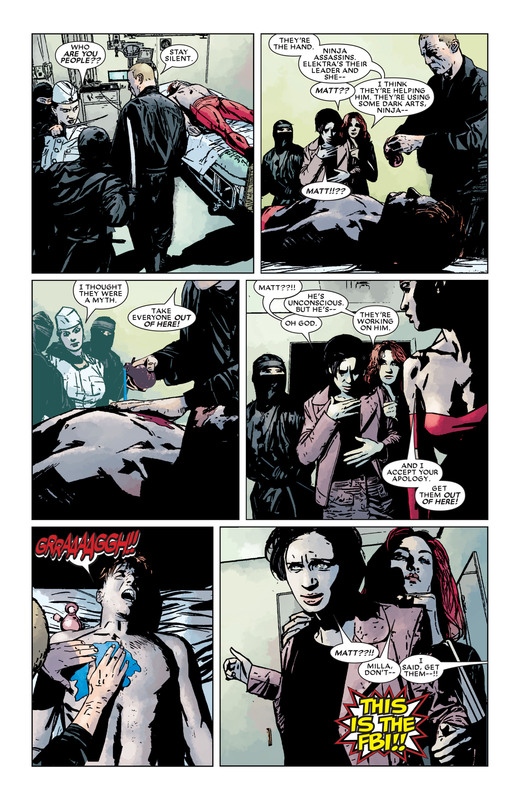 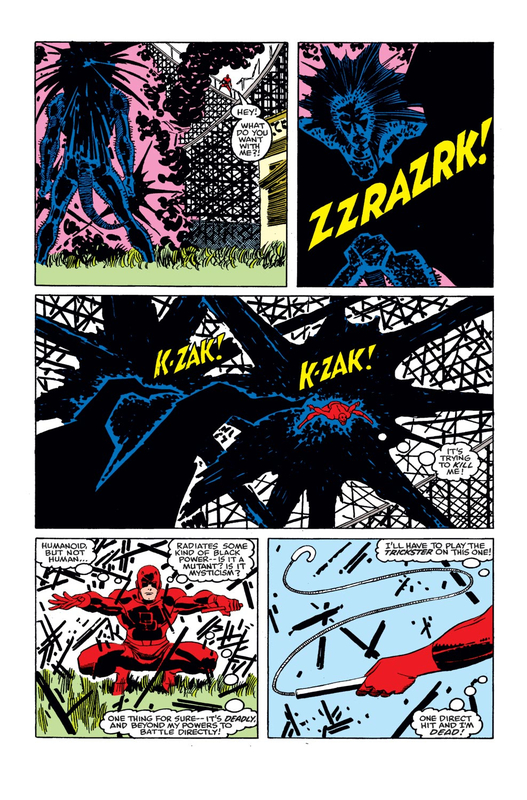 This entry was posted in Amazing Spider-Man, Daredevil, Marvel Comics, Versus and tagged Blackheart on March 5, 2016 by lowbrowcomics. 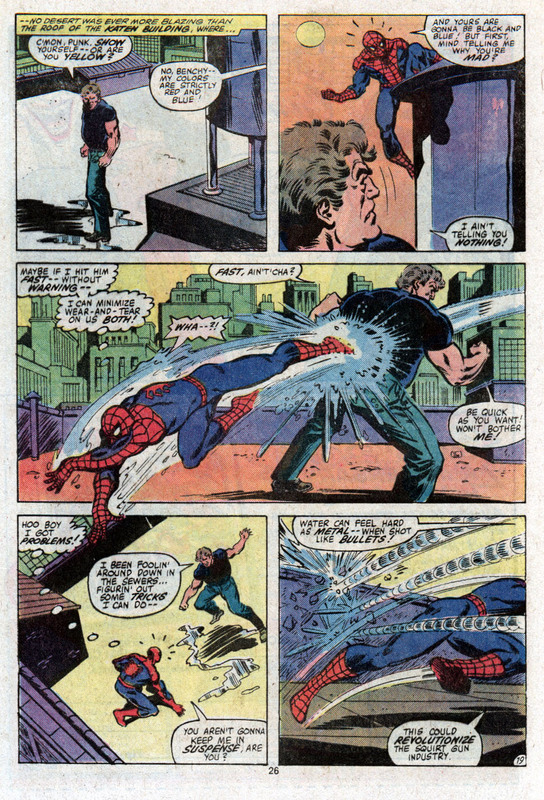 This entry was posted in Amazing Spider-Man, Marvel Comics, Versus and tagged Hydro Man on January 1, 2016 by lowbrowcomics. 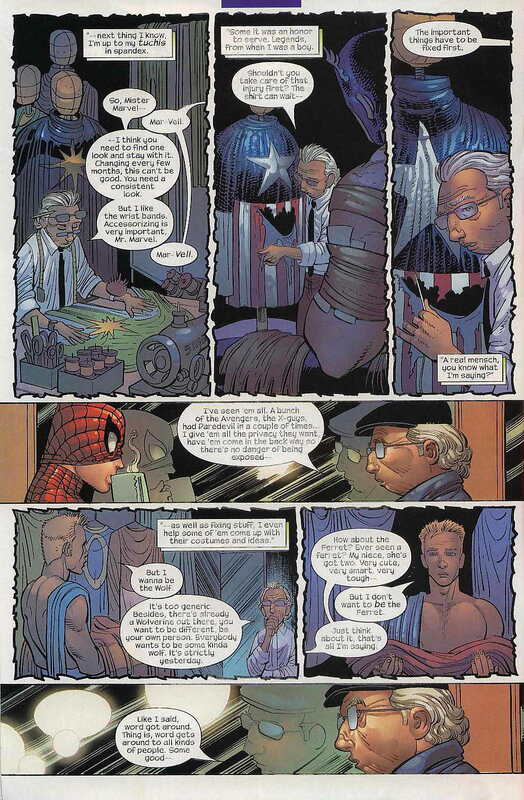 Leo was a regular tailor, mending clothes and taking care of his grandson Mike after his son, who worked as a police officer, had been killed on duty. 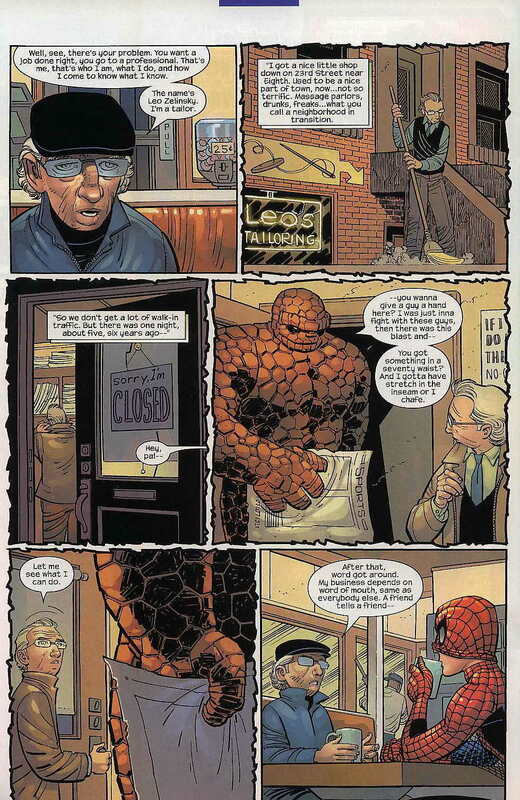 One day, the Thing walked in when his clothes had been burnt off by a fire-wielding villain, and he wanted to buy new ones. 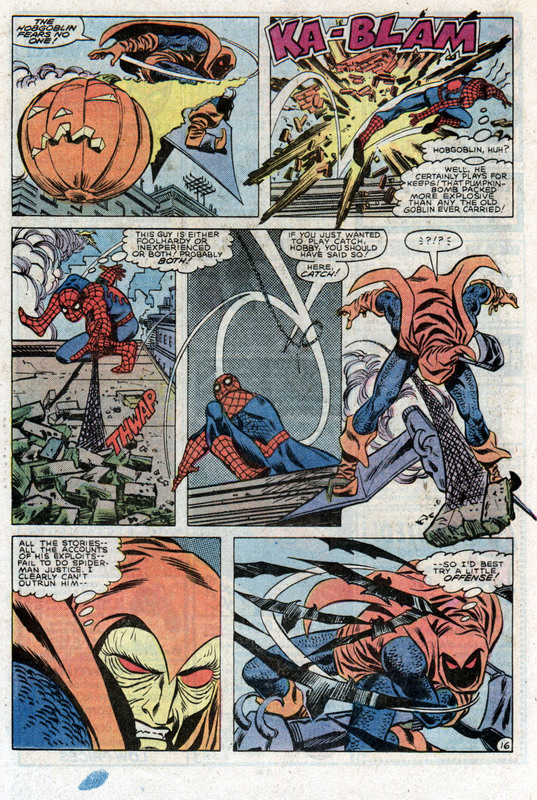 Word quickly got around, and members of the Avengers, and later the X-Men started commissioning costumes. 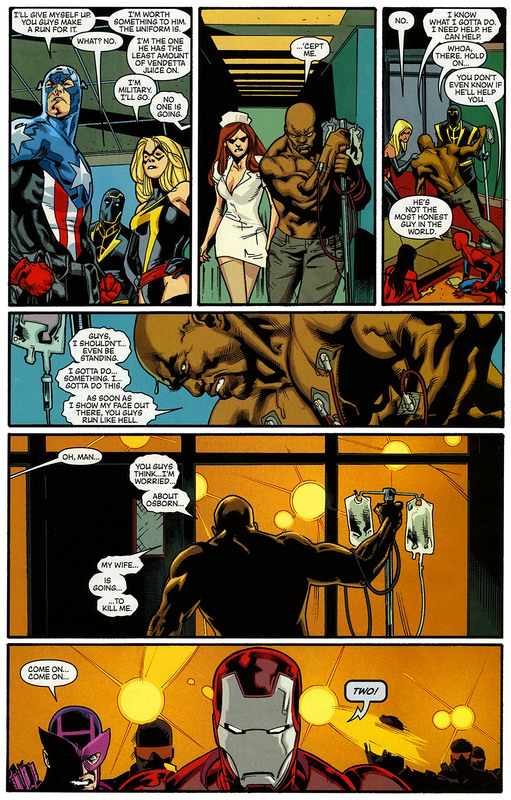 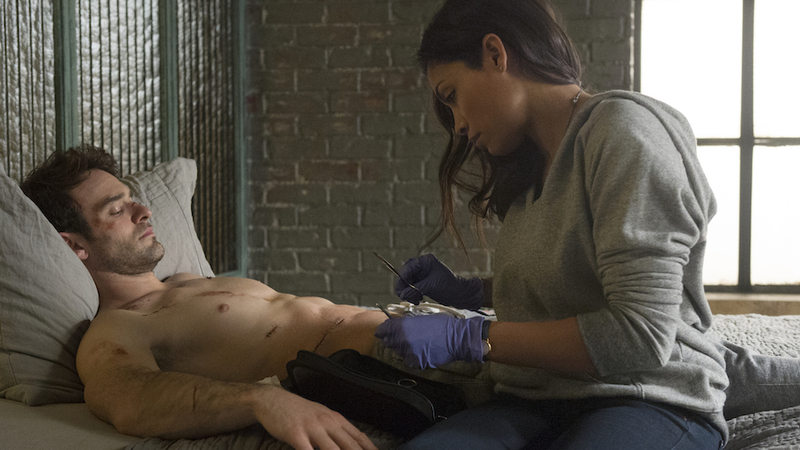 Captain America once, after having taken a slash across the chest, but stating that “The important things come first” went to Leo before seeing a doctor. 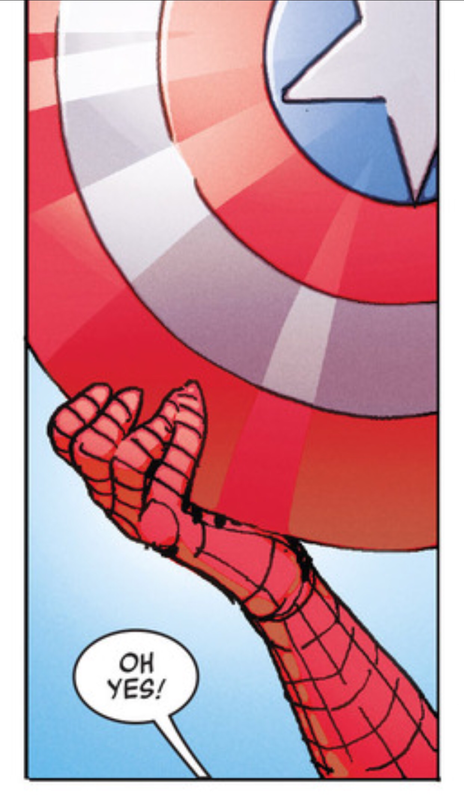 Leo considered it an honor. 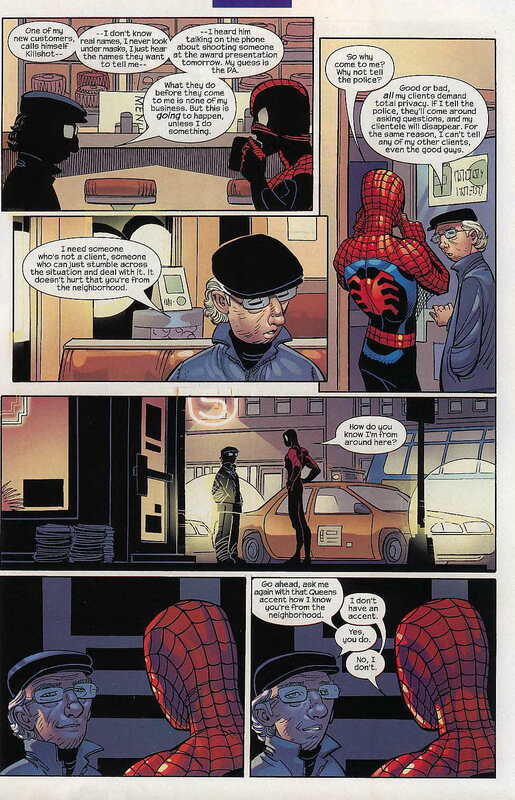 One day Leo overhears one of his costumers, Killshot planning a murder over the phone, possibly the local District Attorney. 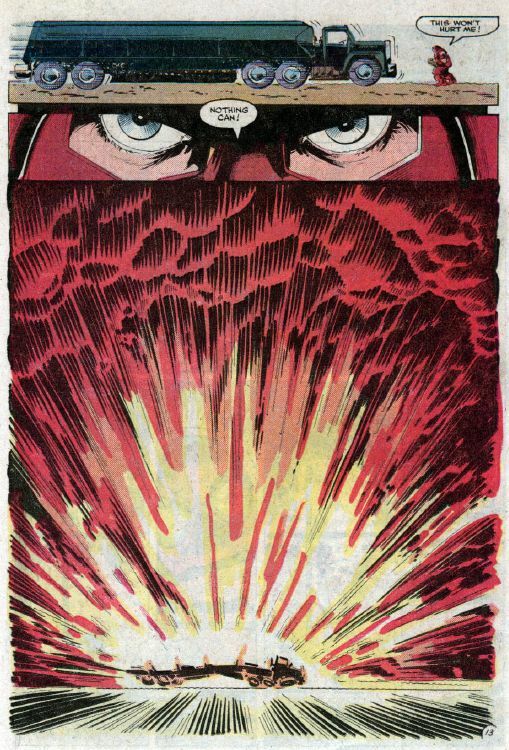 Fearing that it will ruin his business and that Killshot might hurt his grandson in revenge, he does not go to the police. 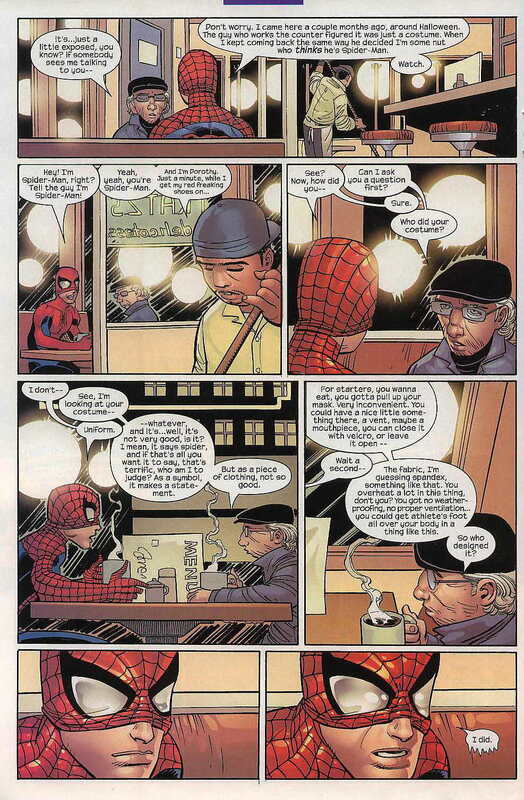 Mike pleads that his grandfather do something before someone dies, and Leo tells Spider-man everything when they meet each other on a late night walk. 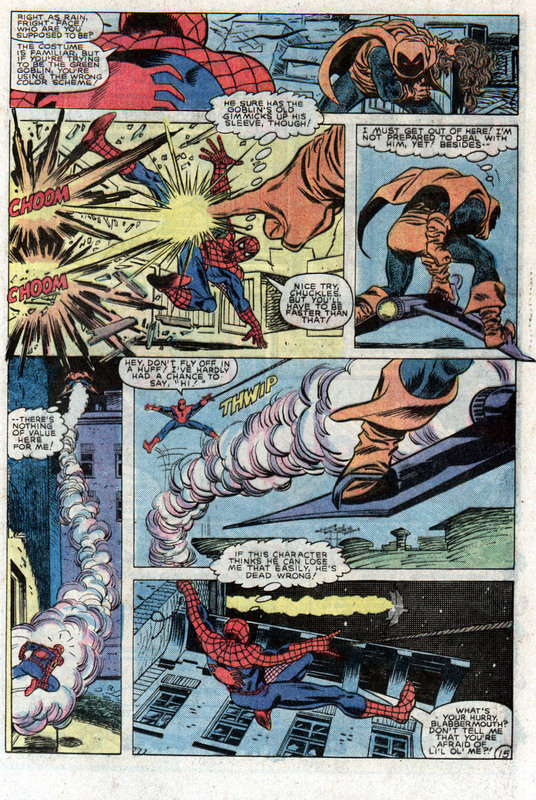 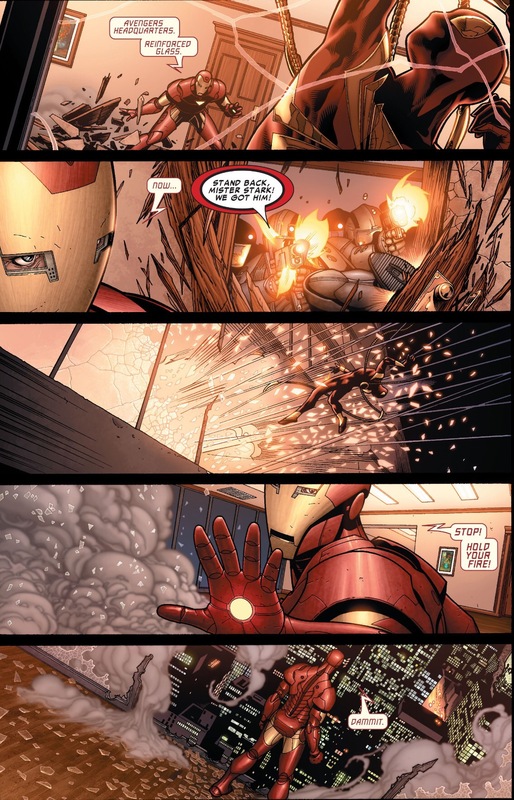 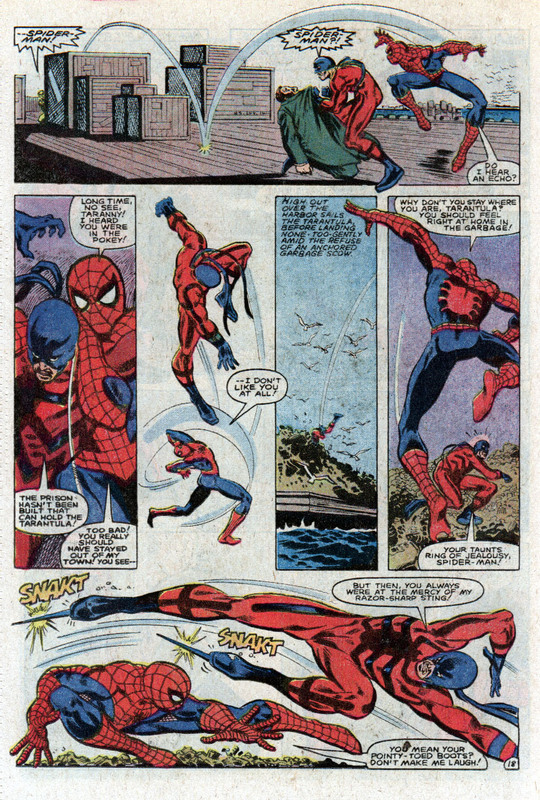 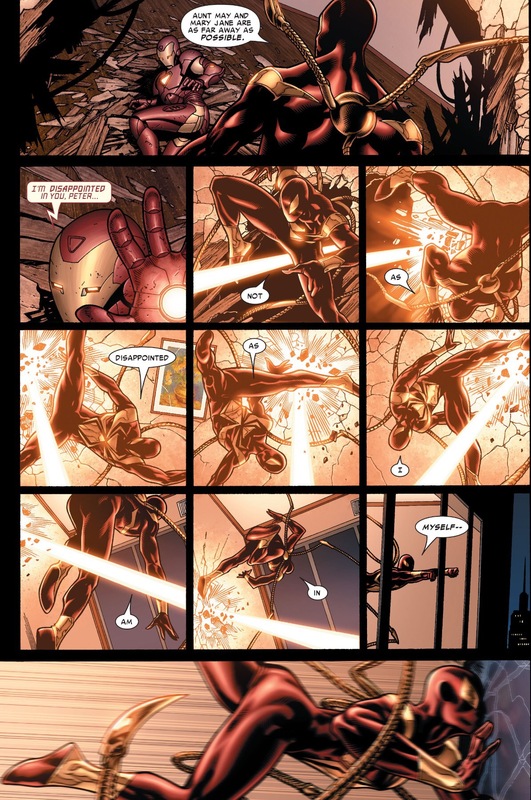 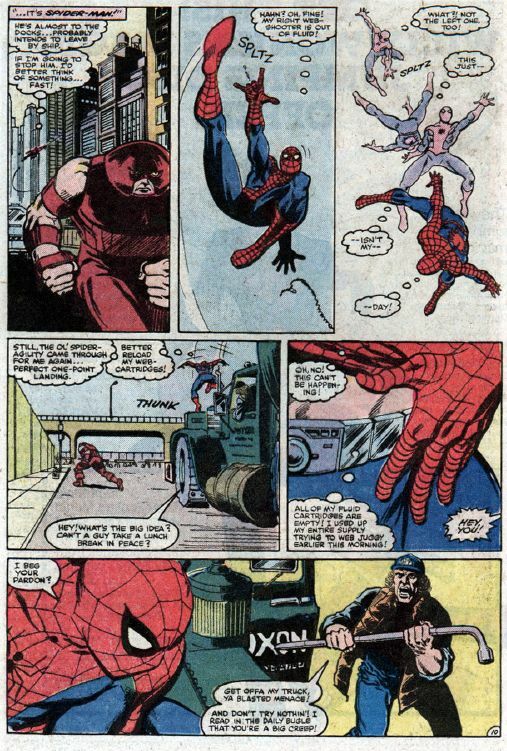 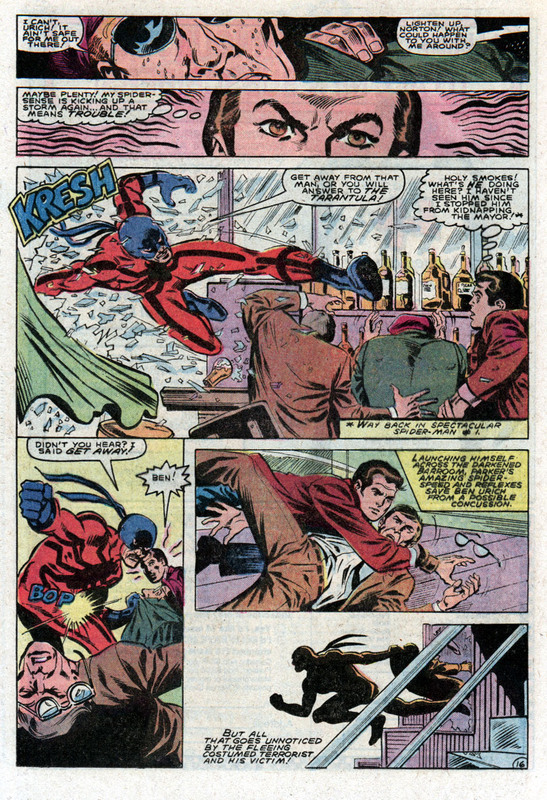 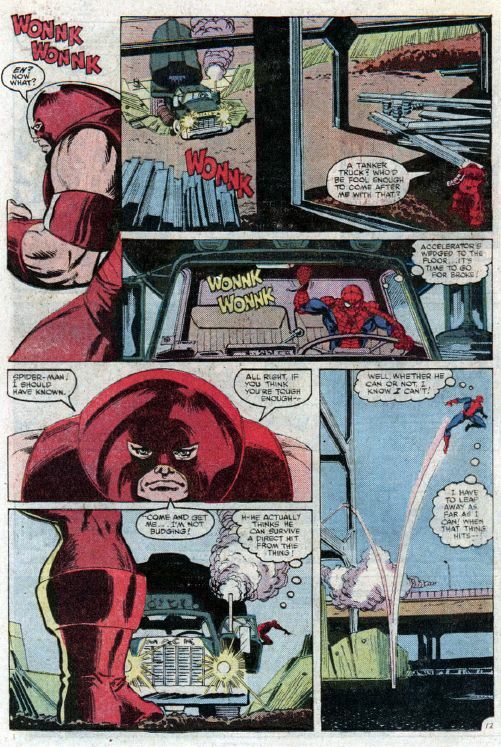 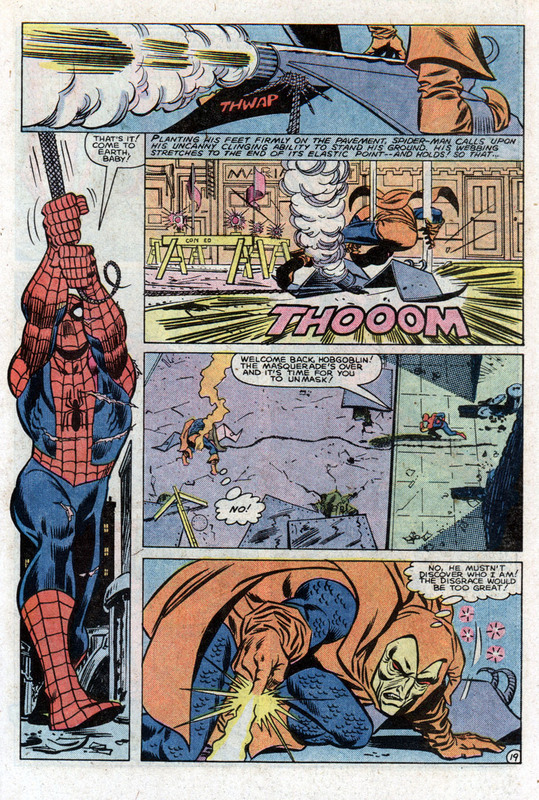 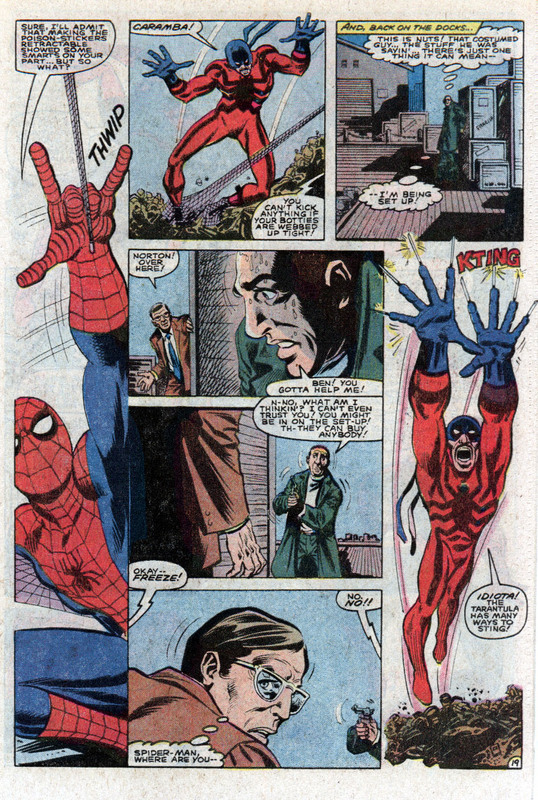 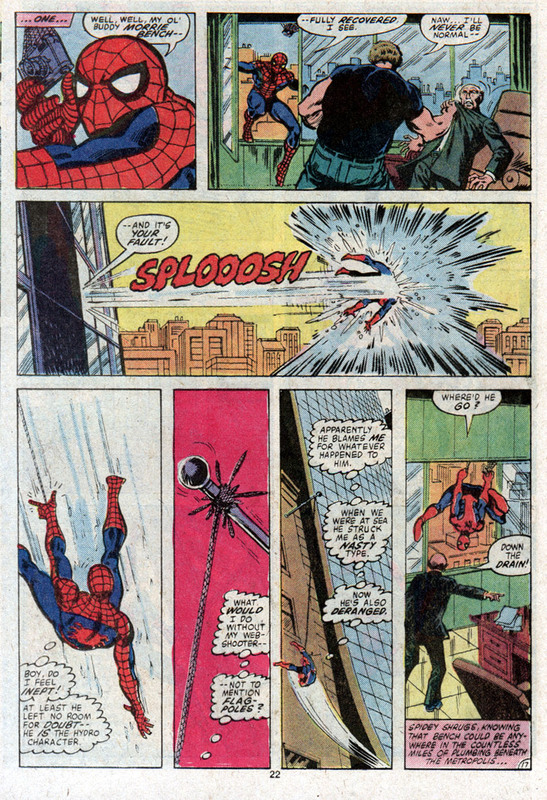 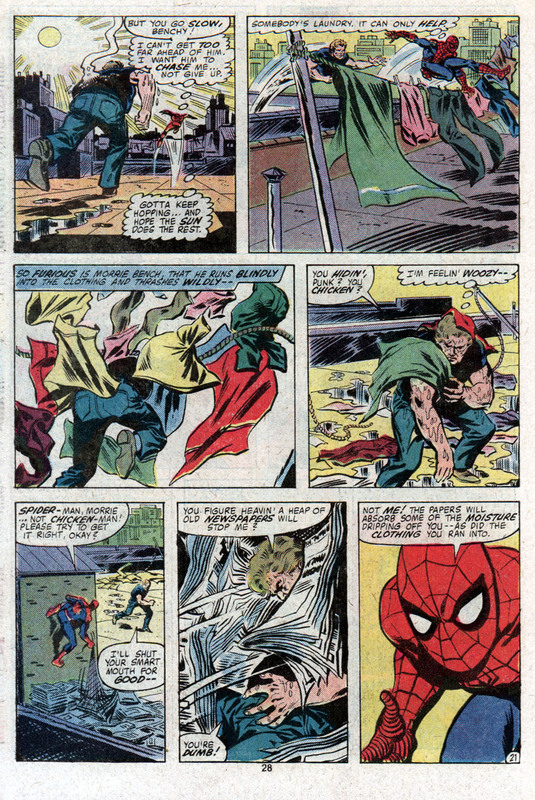 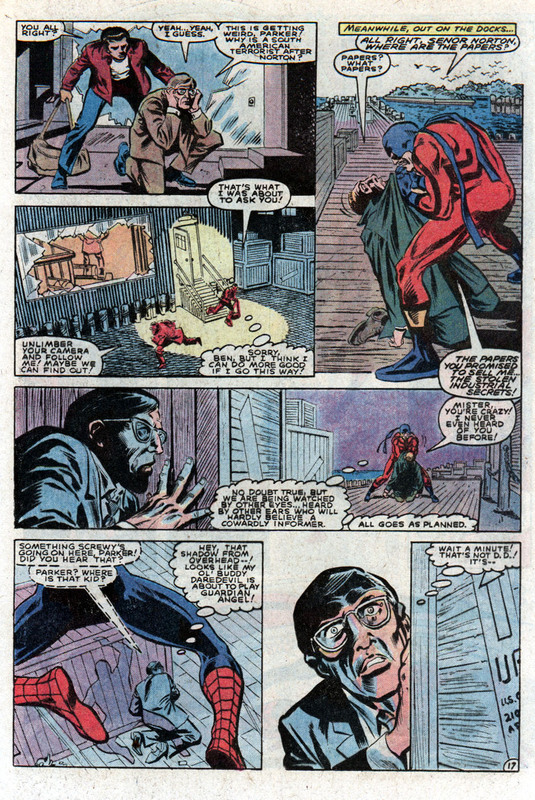 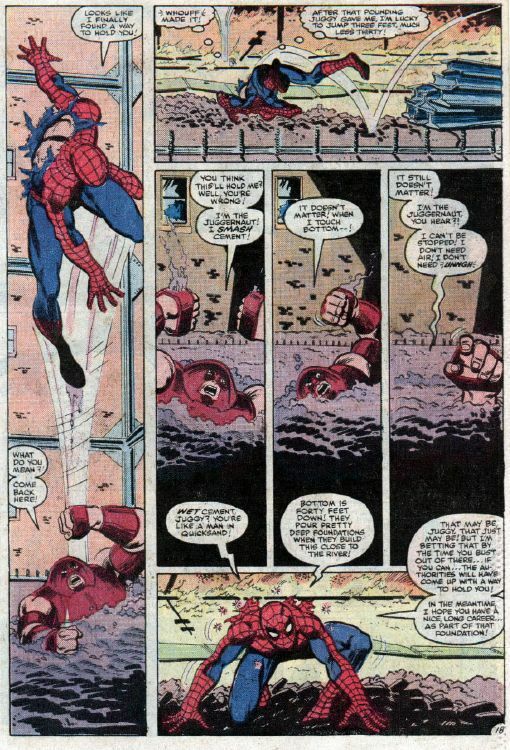 Spider-man prevents Killshot from murdering the DA, but Killshot escapes and takes his revenge on Leo, shooting him in the arm before Spider-man rescues him and Mike. 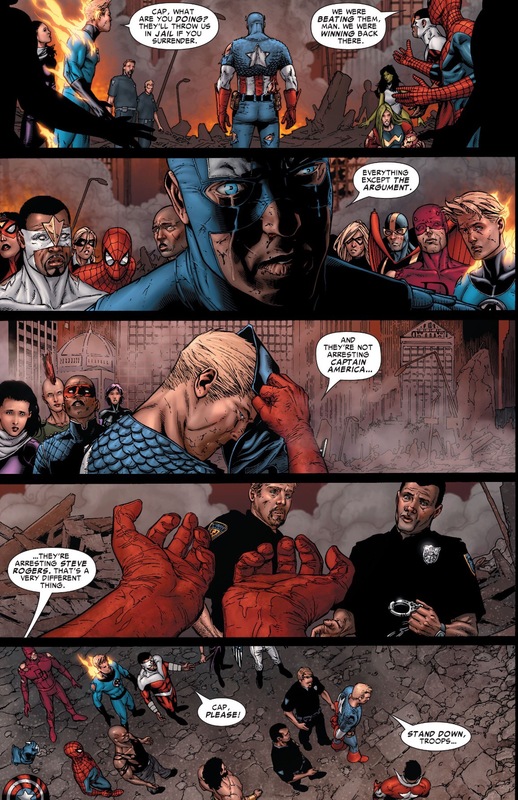 The DA tells the police to leave them alone when he realizes that Leo and Spider-man saved his life. 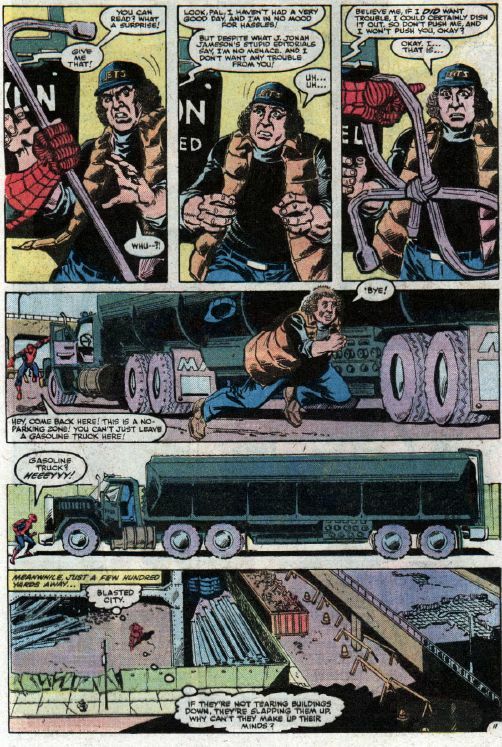 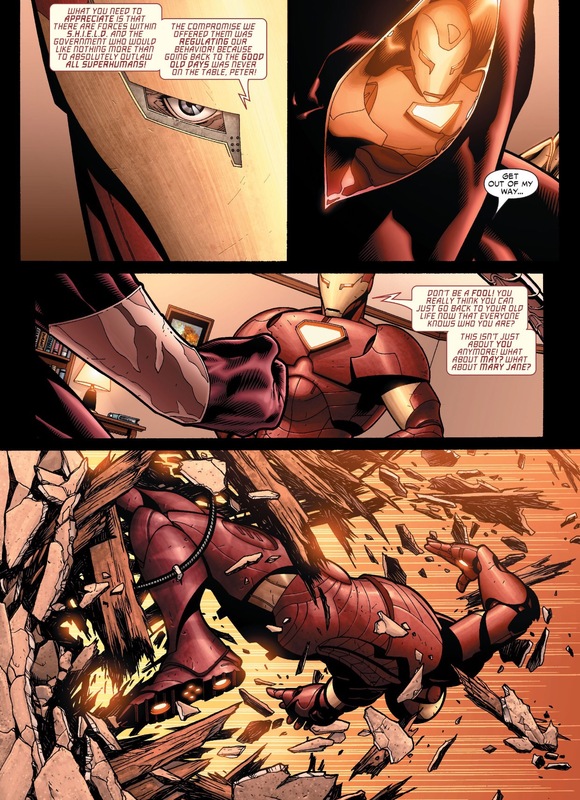 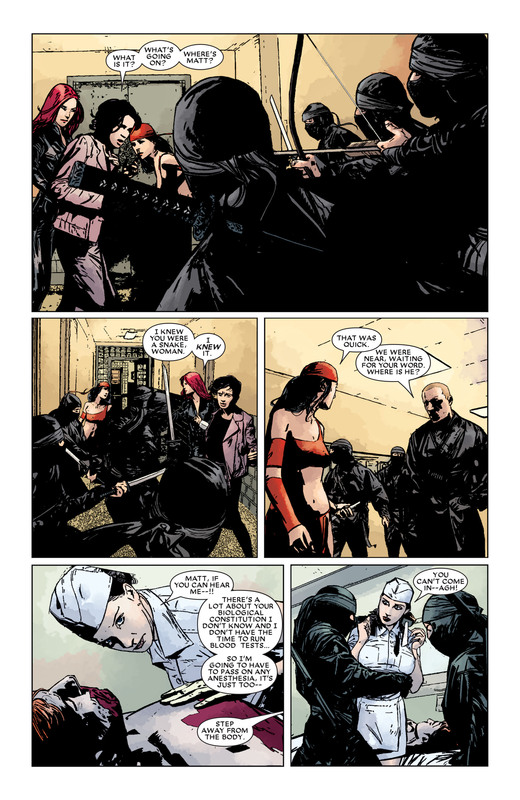 Leo later provides Robbie Baldwin, now Penance with a new armored costume. 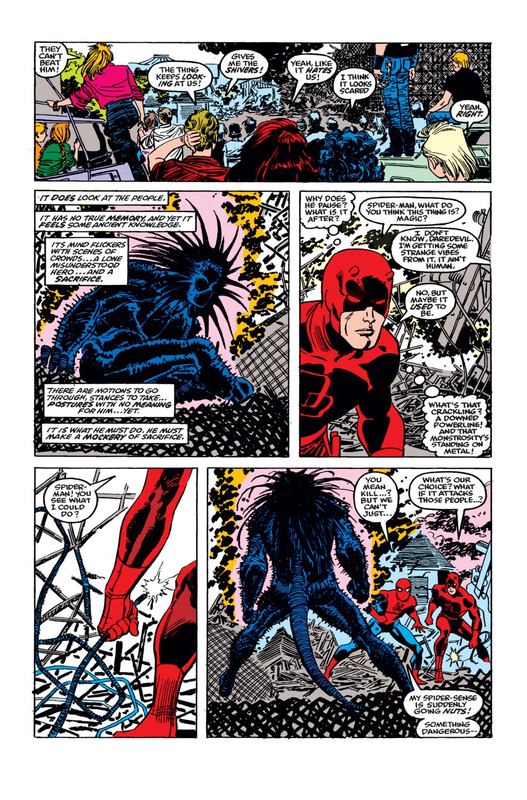 He is dismayed when Baldwin wants help putting on the suit, as its inside is covered in sharp spikes. 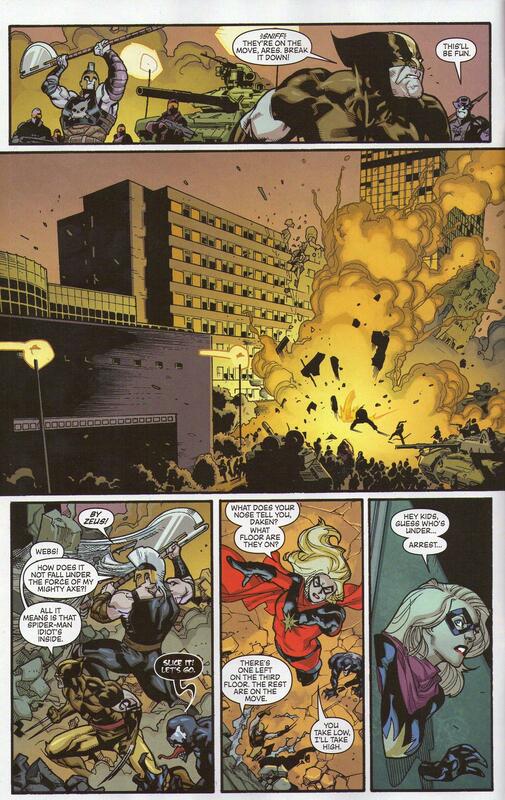 Wonder Woman (DC) vs. Storm (Marvel Comics). 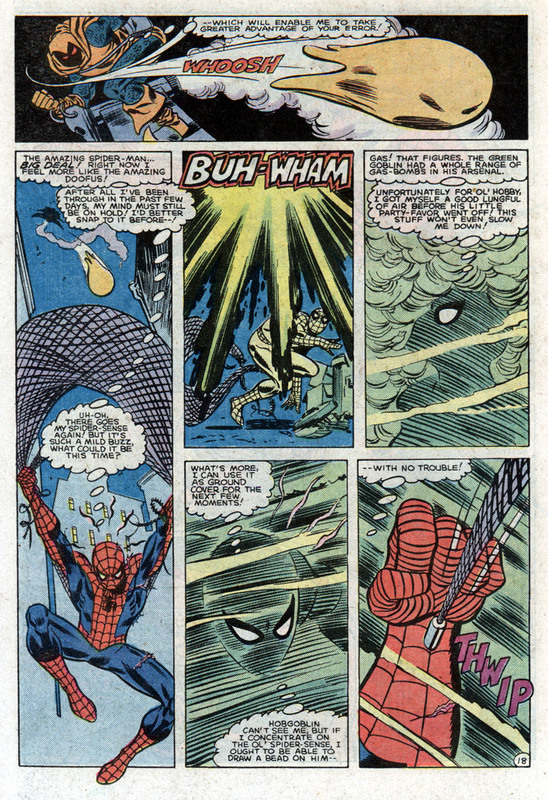 This entry was posted in Amazing Spider-Man, DC Comics, DC vs. Marvel, Marvel Comics, Superboy and tagged amazing spider-man, DC Comics, Marvel Comics, Superboy on December 16, 2015 by lowbrowcomics. 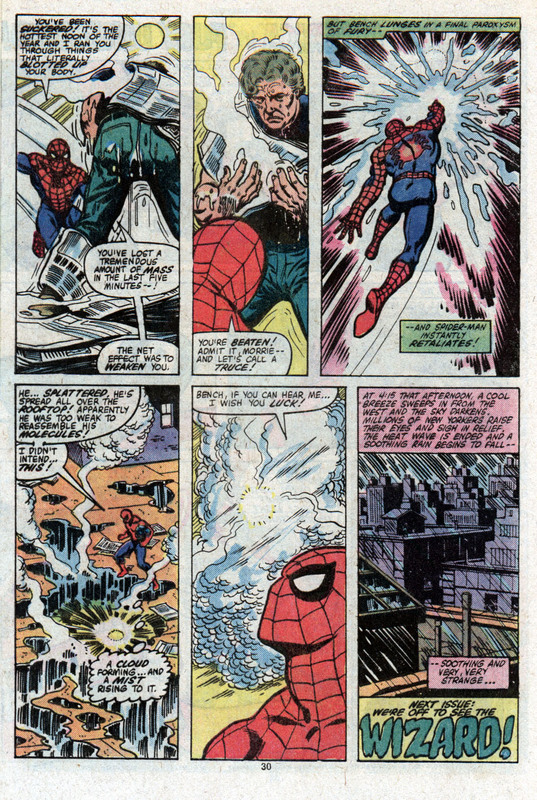 This entry was posted in Amazing Spider-Man, Beyonder, Fantastic Four, Secret Wars, Secret Wars II and tagged amazing spider-man, Beyonder, fantastic four, Secret Wars II, She-Hulk on August 29, 2015 by lowbrowcomics. 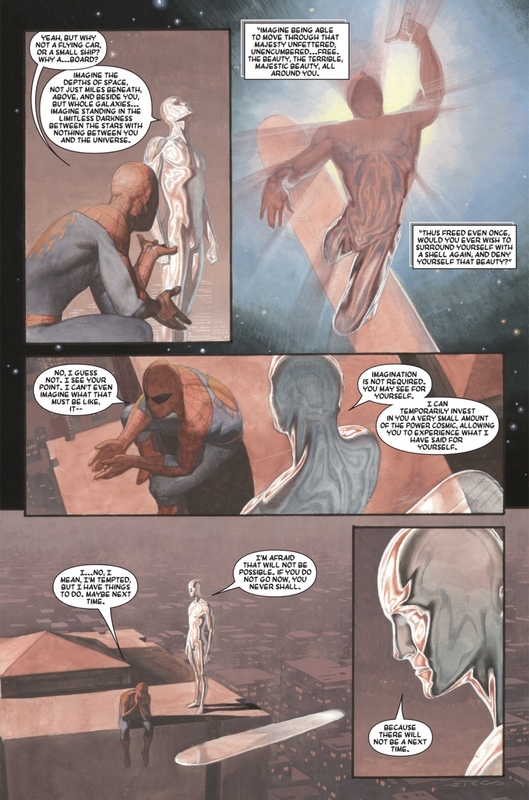 This entry was posted in Amazing Spider-Man, Fantastic Four, Silver Surfer and tagged comics, Cosmic, Marvel Comics, silver surfer on August 6, 2015 by lowbrowcomics. 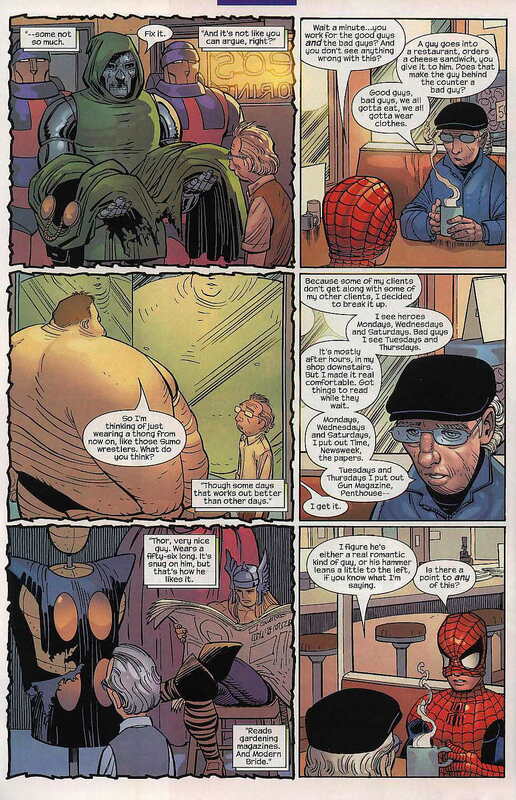 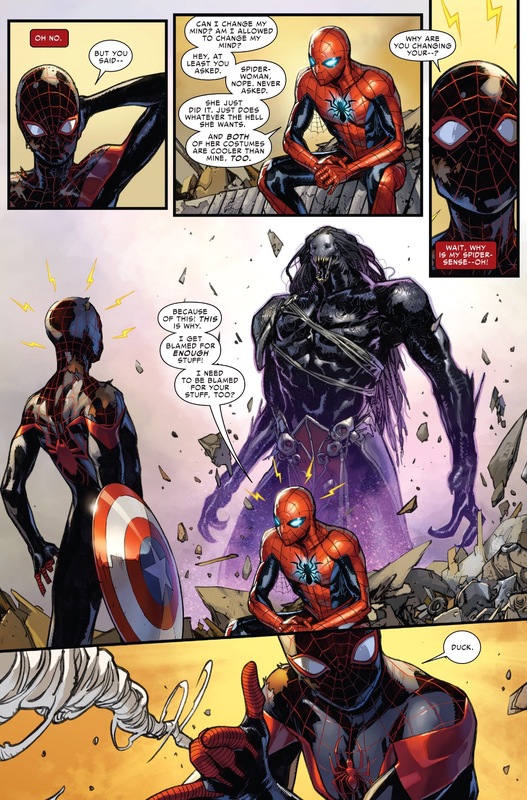 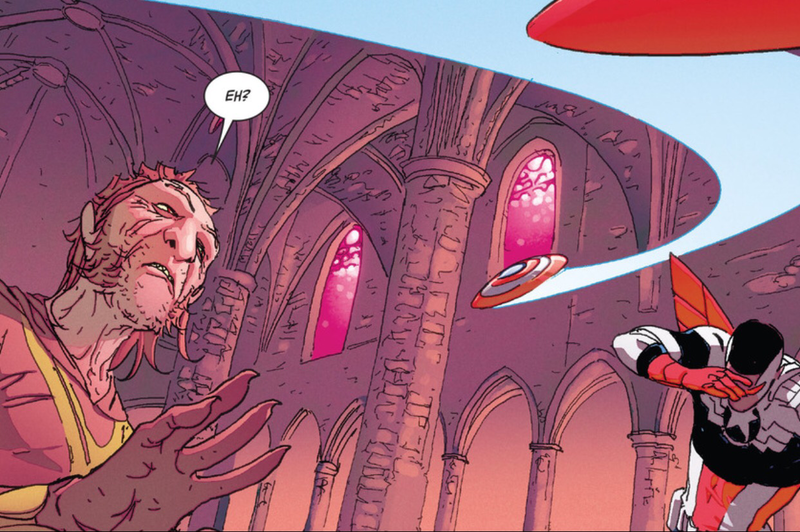 The alien symboite attempts to bond with Spider-Man. 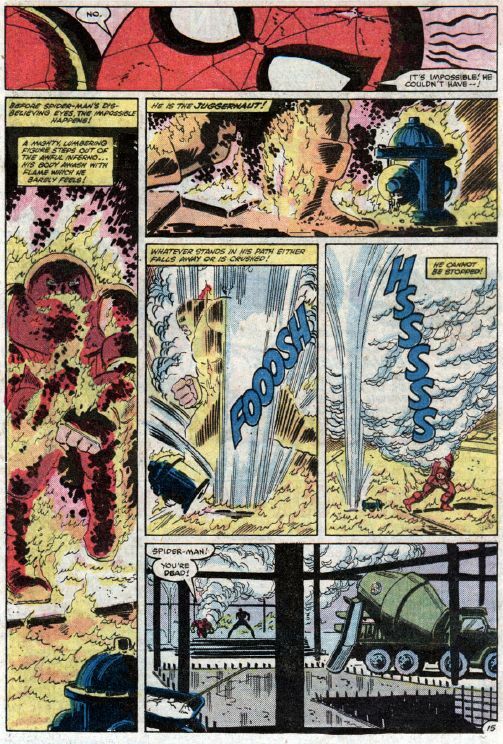 Seeking answers about his new mysterious black suit, Peter heads to the Baxter Building, home of the Fantastic Four, for some answers. 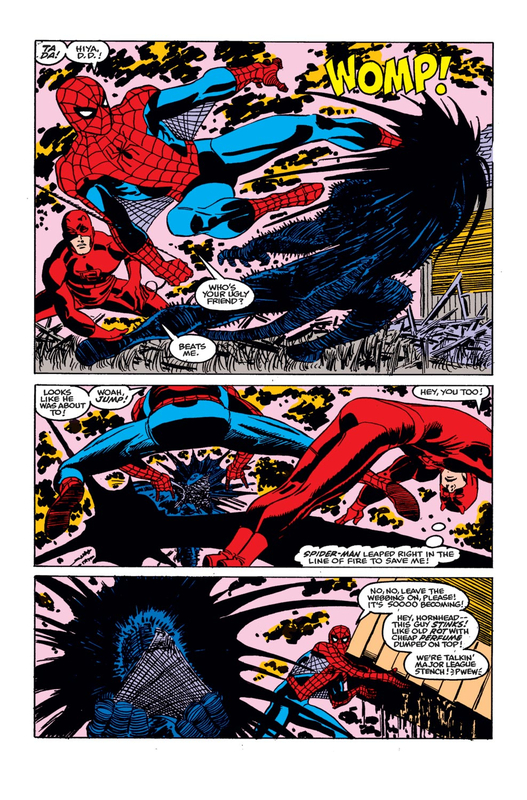 This entry was posted in Amazing Spider-Man and tagged amazing spider-man, fantastic four, Human Torch, Reed Richards, symboite, Venom on May 11, 2015 by lowbrowcomics. 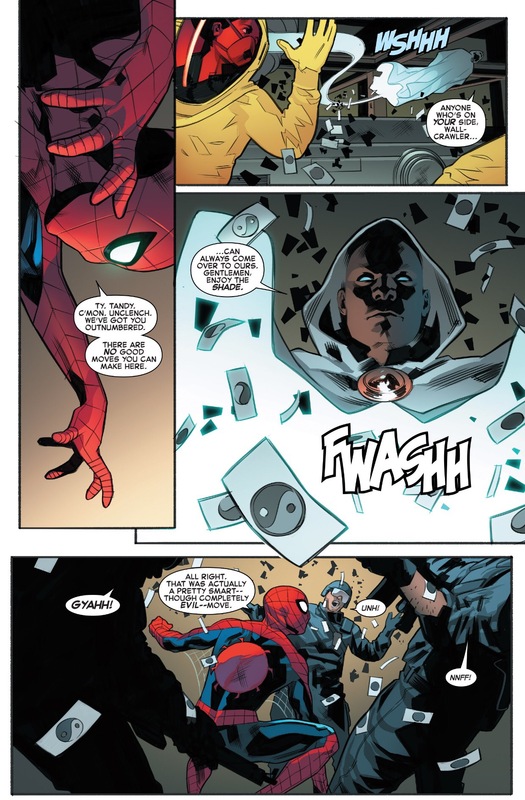 Reed Richards talks about Spider-Man’s black “costume”. 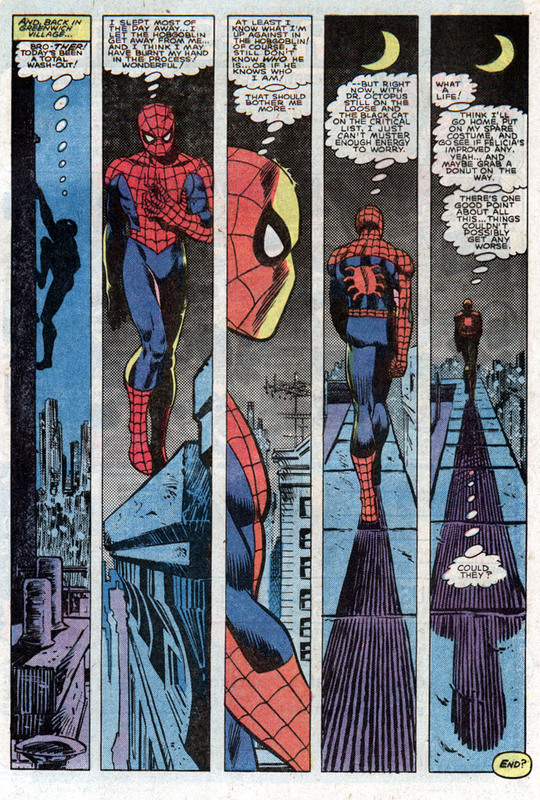 I always liked this issue. 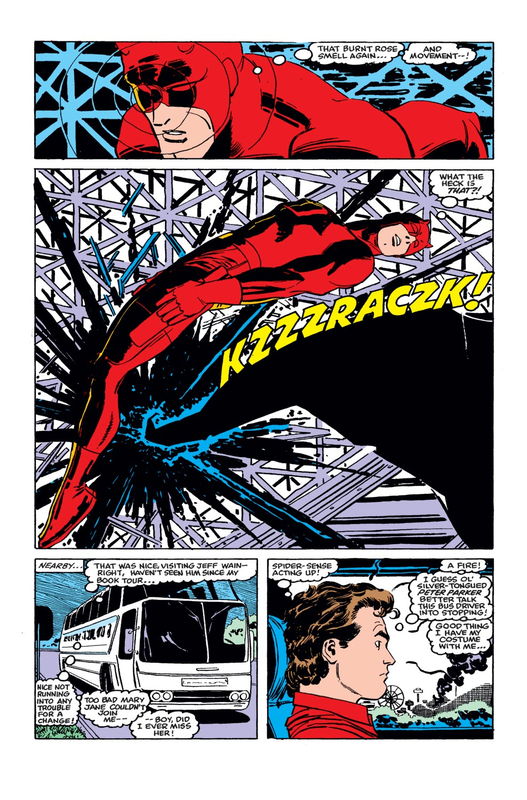 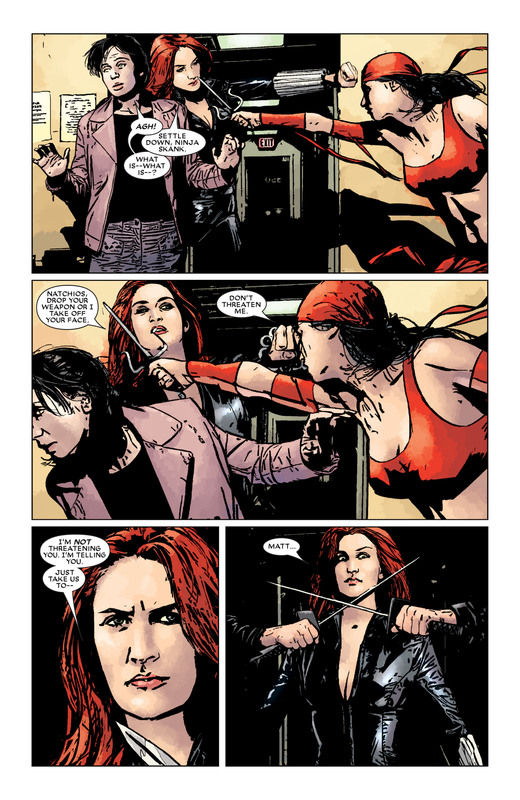 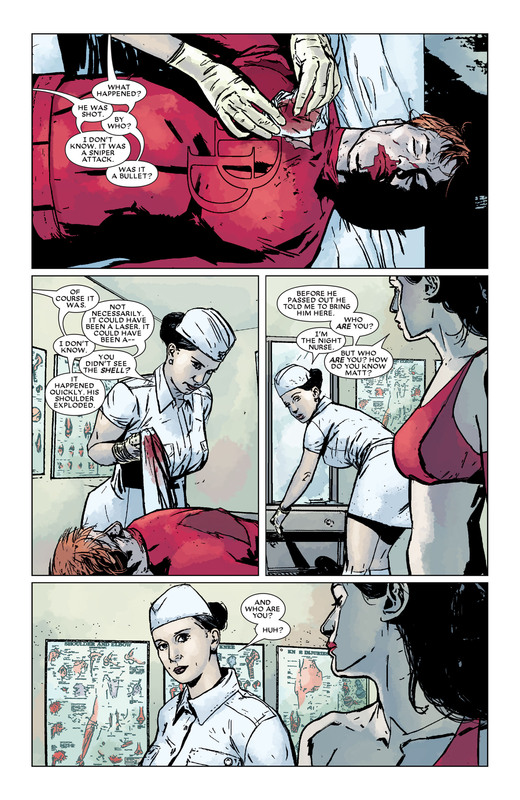 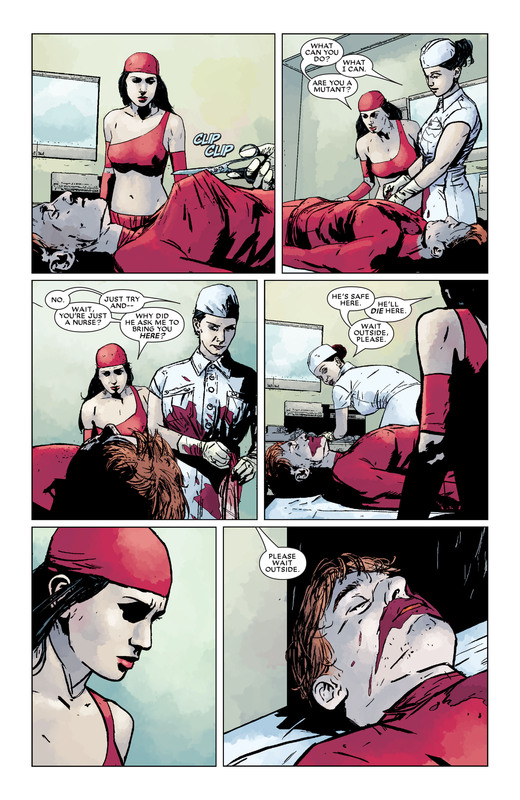 It’s not a particularly action packed issue as the meat of the story deals with Mary Janes life (told in flash back sequences) prior to really getting know Peter. 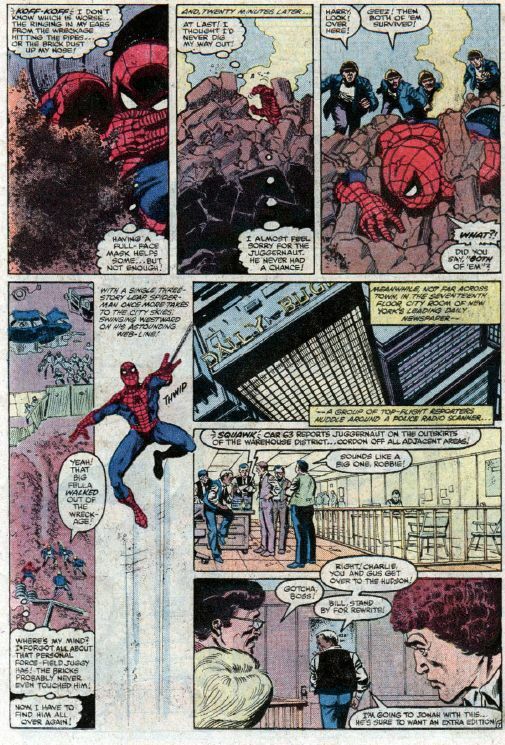 MJ and Peter walk through Central Park and she tells him about her father running out on her, her mom and sister Gayle. 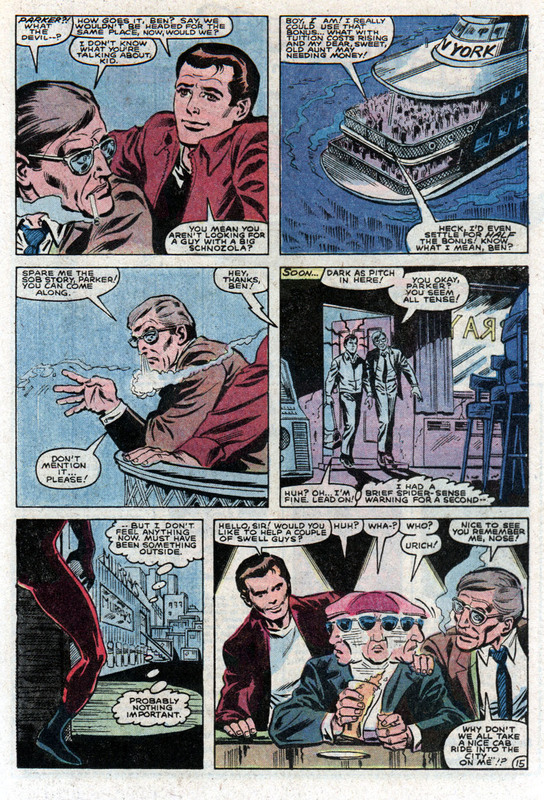 The tale continues with MJ and crew going to live with her moms stern but fair cousin, Gayle getting married and pregnant just after high school graduation (and after a second baby Gayles husband cracks under the stress of being a pre-law student and an 18 year old father of two boys) and her mothers gradual (but fast) decline in health. 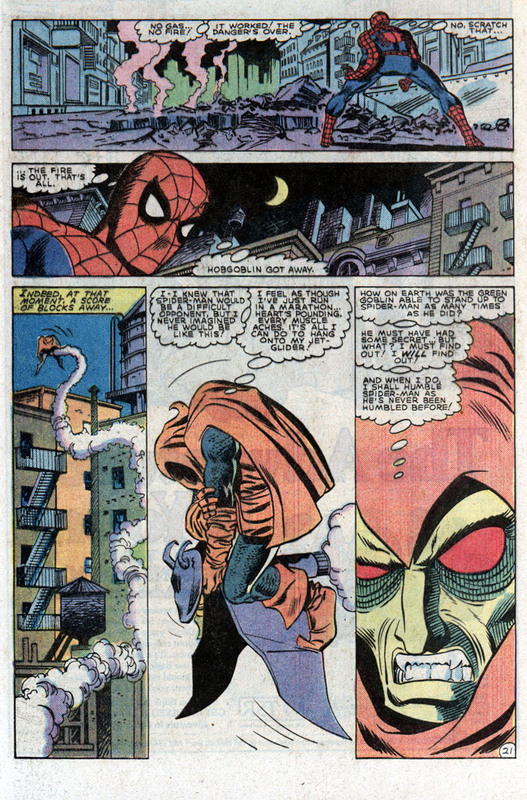 Interspersed in Mary Janes backstory is the Hobgoblin who, in his usually villainous ways, is causing havoc around town. 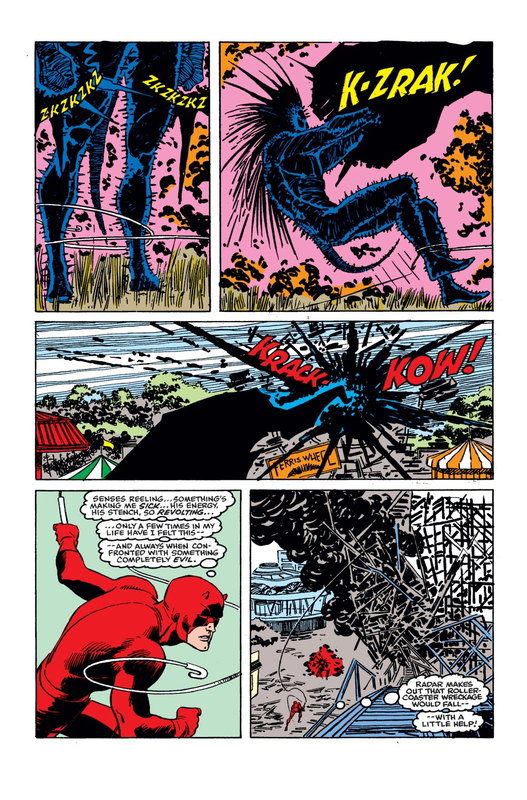 Then, in a blink-and-you’ll-miss-it moment, this little conversation between Reed Richards aka Mr. 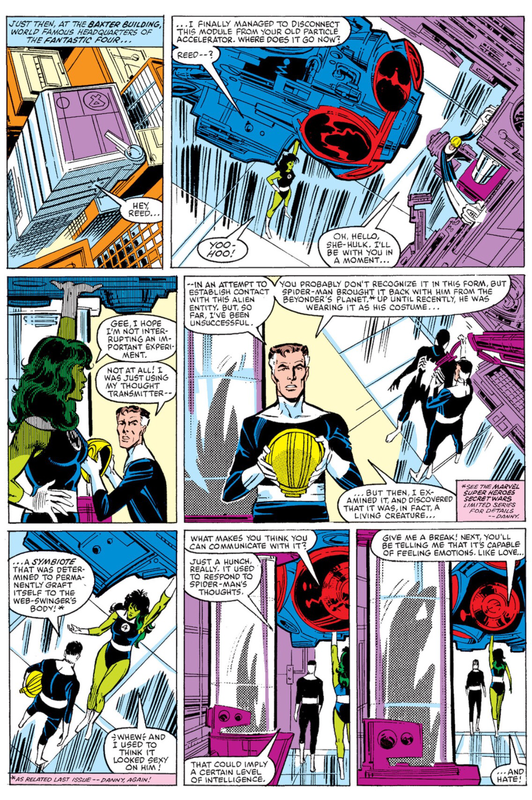 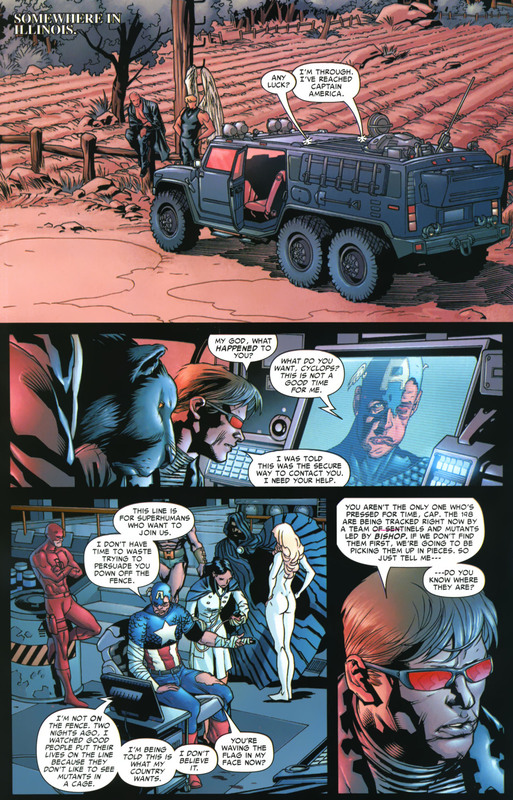 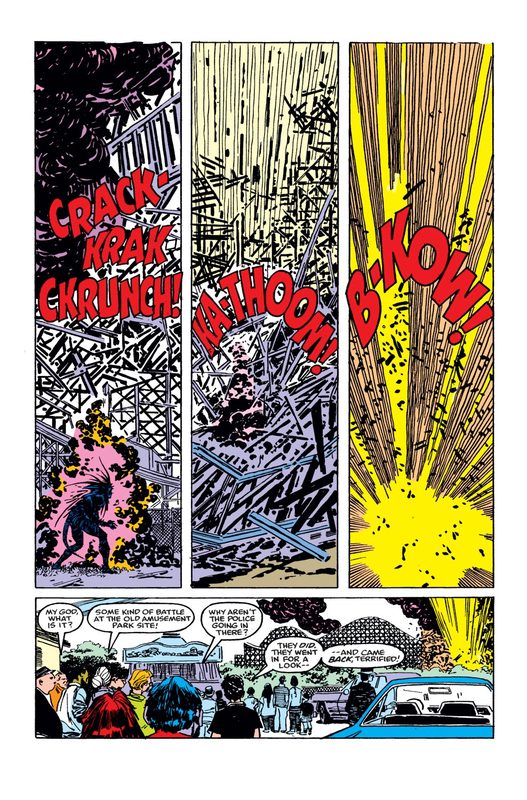 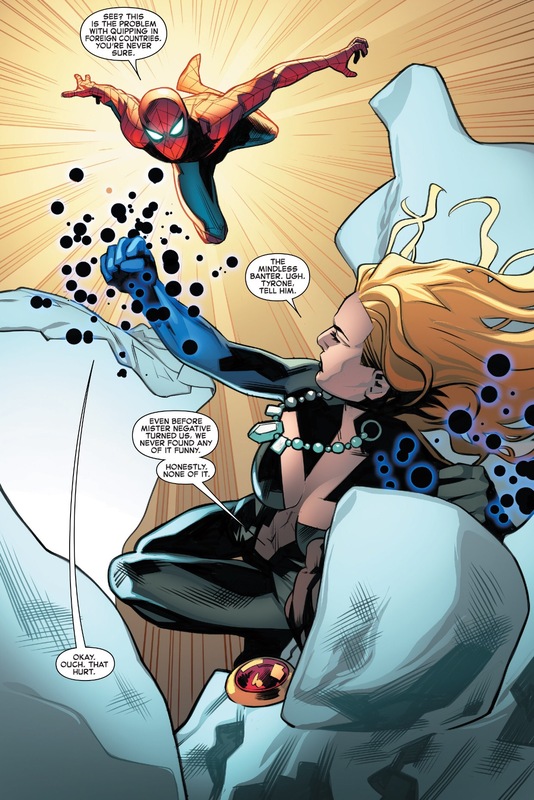 Fantastic and Jennifer Walters aka She-Hulk (who is, at the time, a member of the Fantastic Four) is dropped in where Reed is discussing the capabilities and abilities of this strange article of “clothing” Spider-Man brought back at the conclusion of the first Secret Wars. 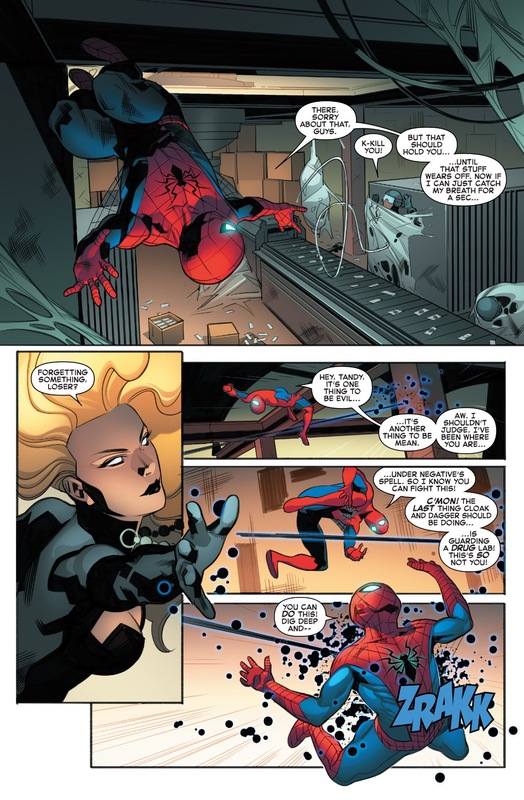 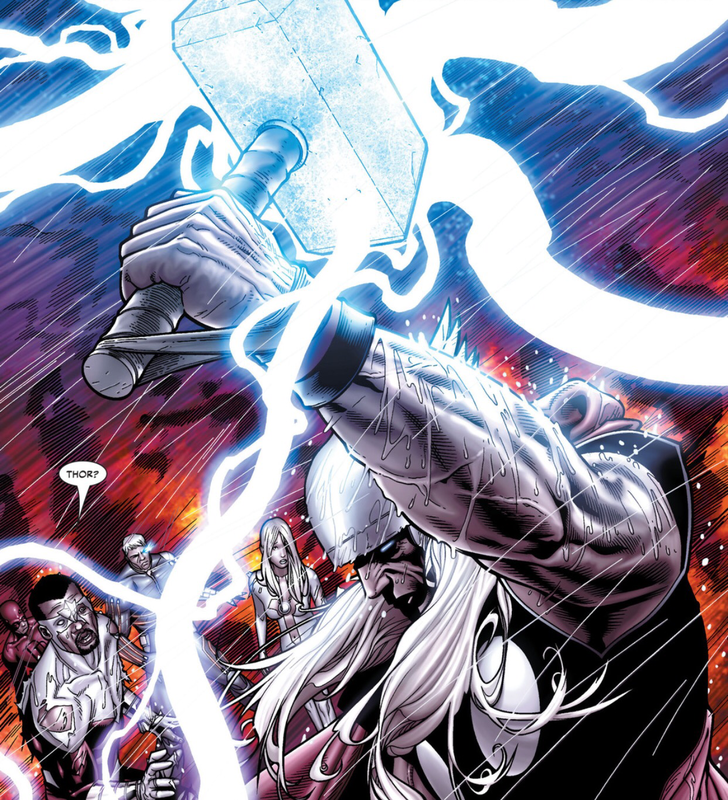 This entry was posted in Amazing Spider-Man and tagged alien, amazing spider-man, fantastic four, Reed Richards, secret wars, She-Hulk, symboite, Venom on May 11, 2015 by lowbrowcomics. 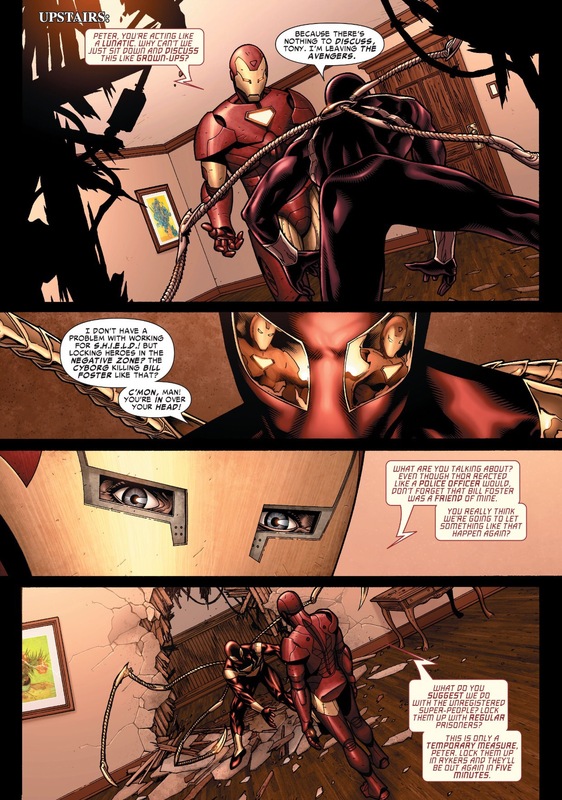 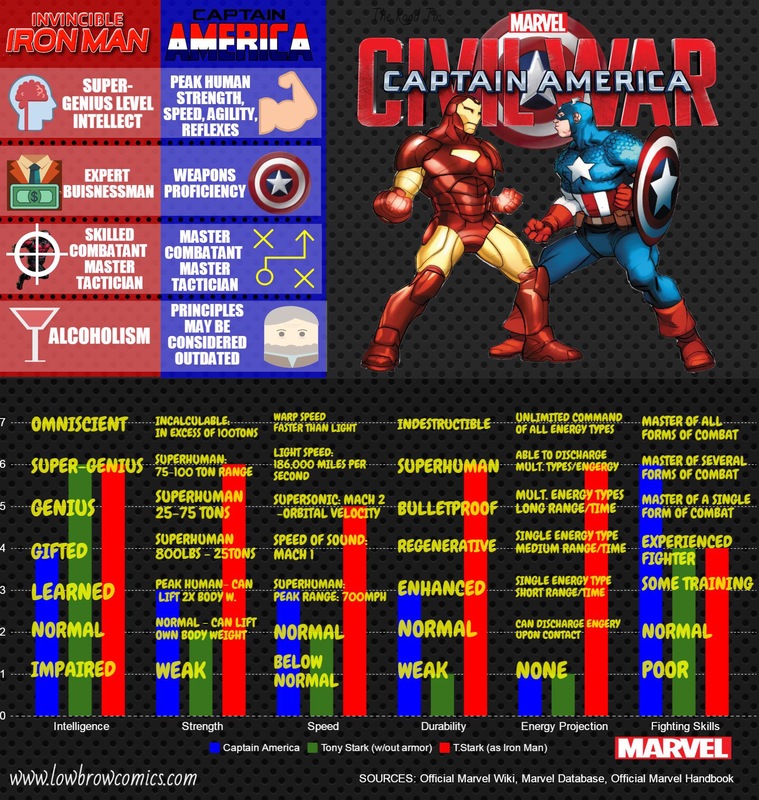 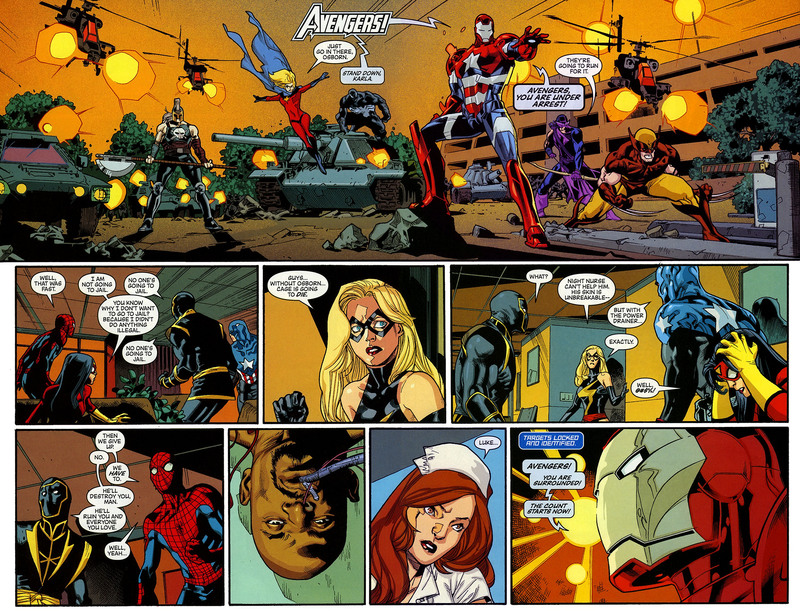 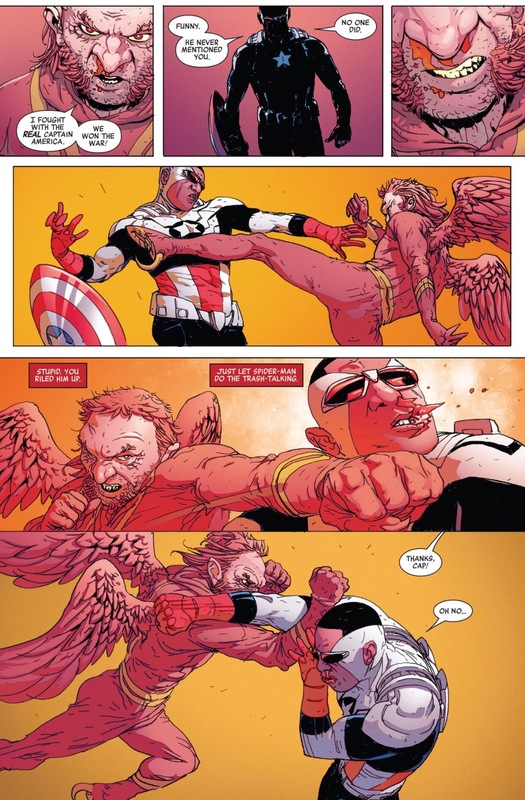 This entry was posted in Amazing Spider-Man, Captain America, Civil War, Marvel Comics, Versus and tagged amazing spider-man, captain america, civil war, Iron Spider, Marvel Comics on May 5, 2015 by lowbrowcomics. 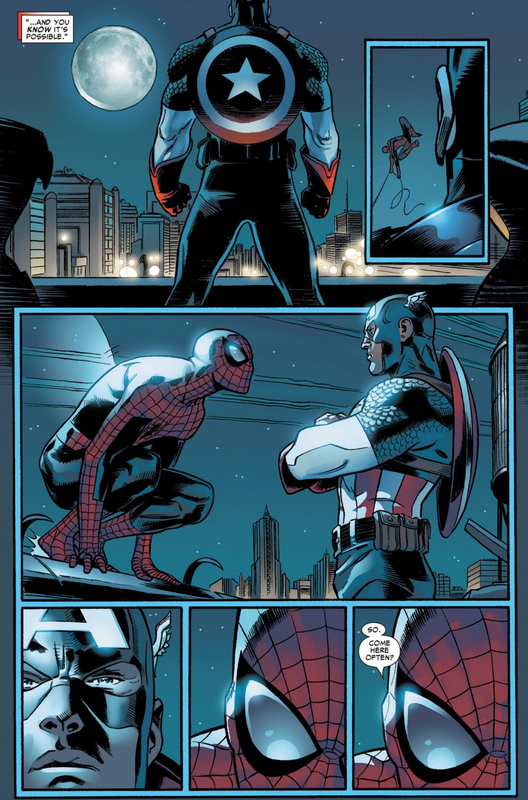 This entry was posted in Amazing Spider-Man and tagged amazing spider-man, captain america on May 5, 2015 by lowbrowcomics. 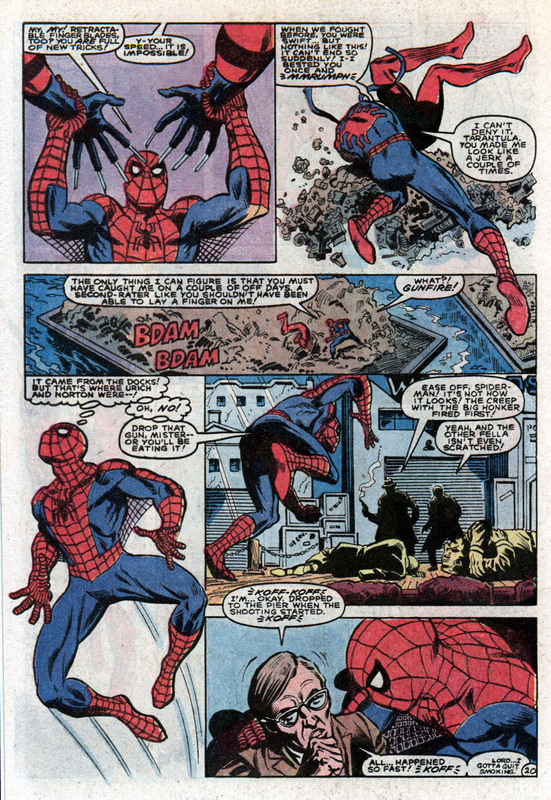 This entry was posted in Amazing Spider-Man and tagged amazing spider-man, anna maria, aunt may, bomb, defuse, jameson, jay, jolly, jonah, otto octavius, peter parker, science on April 14, 2015 by lowbrowcomics. 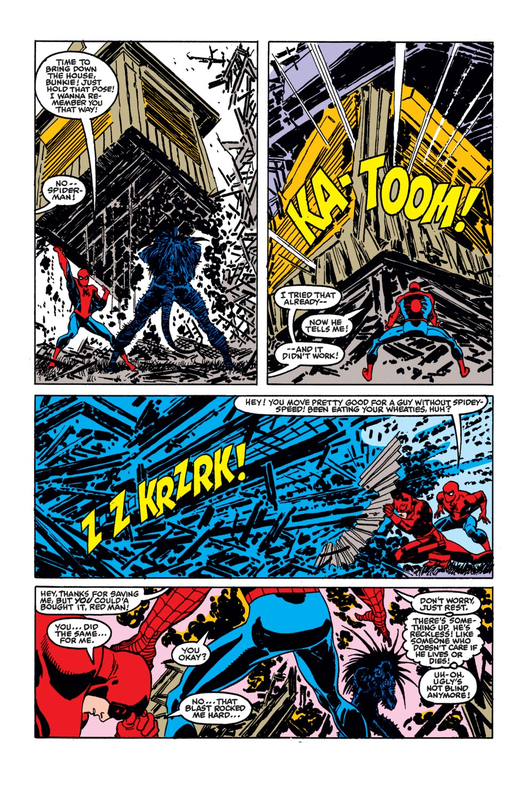 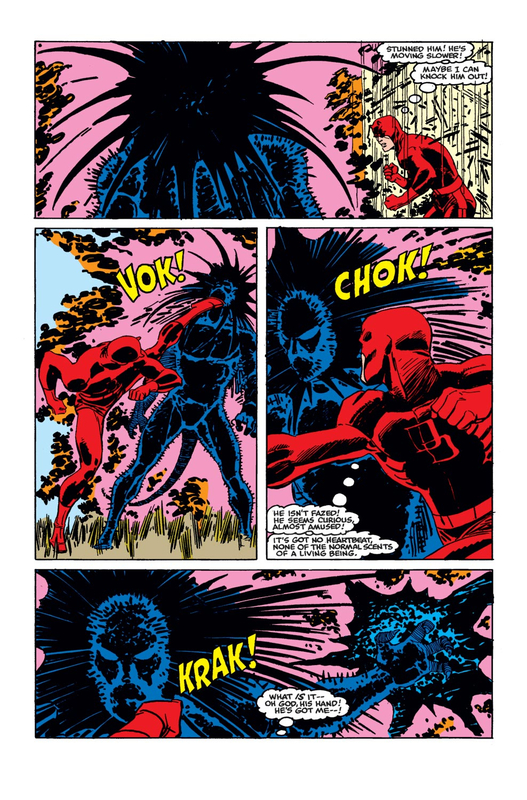 This entry was posted in Amazing Spider-Man, Avengers, Black Panther, Klaw and tagged amazing spider-man, avengers, black panther, klaw, wakanda on April 14, 2015 by lowbrowcomics. 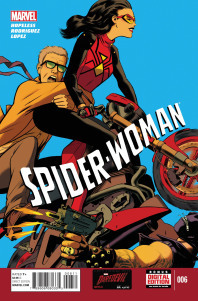 The recently rebooted Spider-Woman continues in much the same vein as it began; it is pleasant enough and a light diversion, but the central characterisation of Jessica is uneven and the humour can be repetitive. 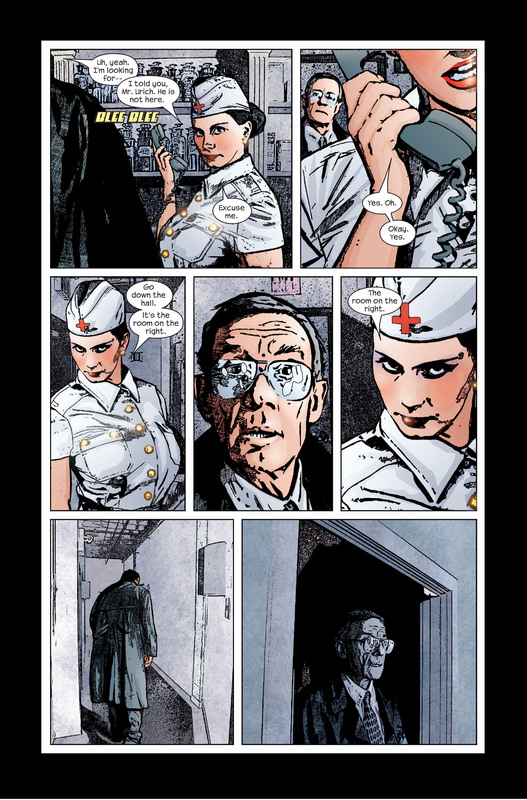 This isn’t a bad comic book by any means, but it isn’t an especially strong one either. 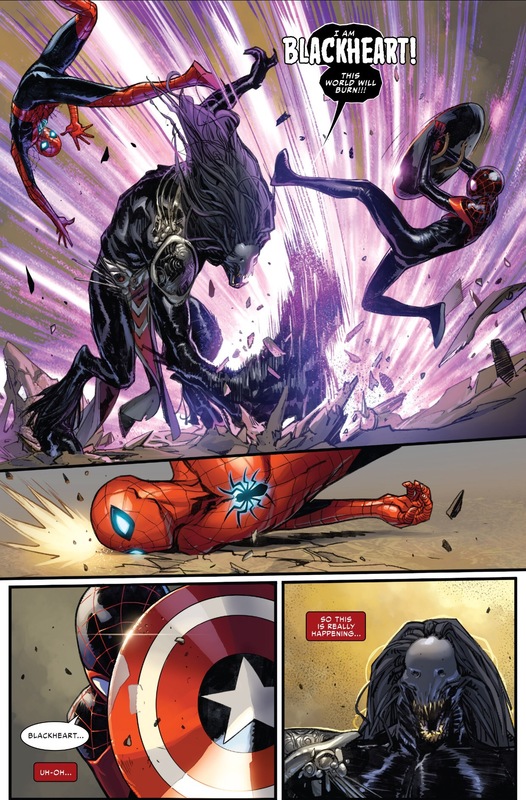 Fans of the creative team or Spider-Woman may get more out of it, but so far this is a little too lacklustre for my liking. 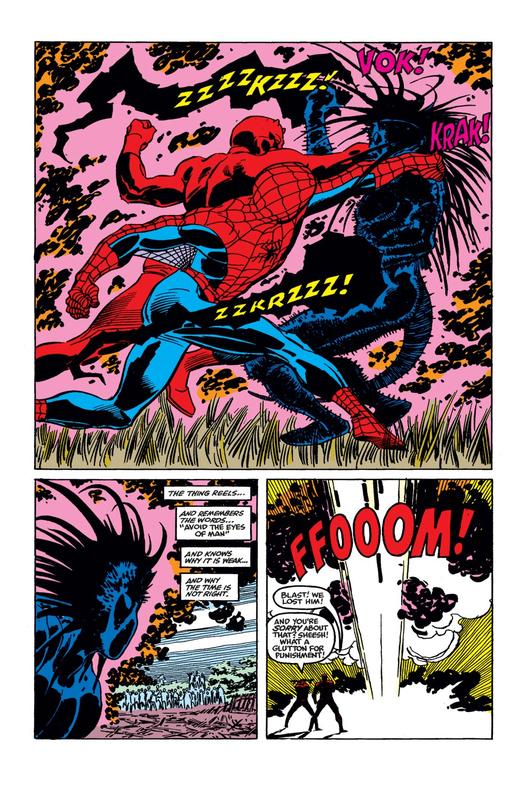 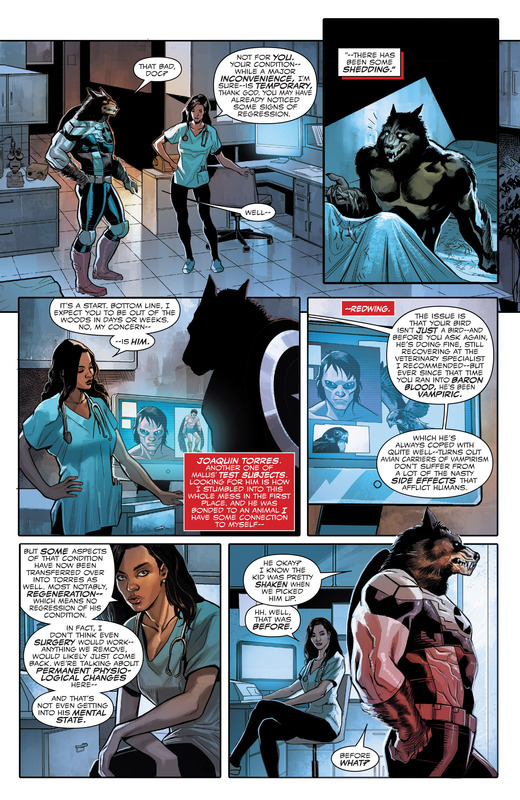 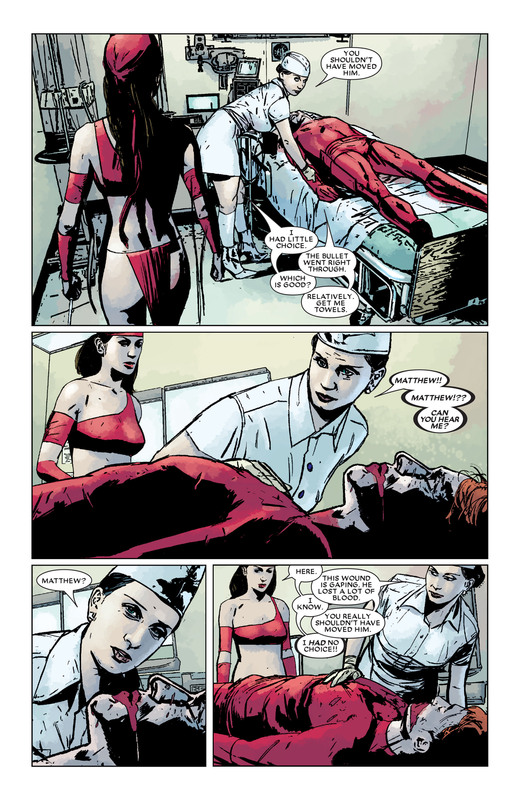 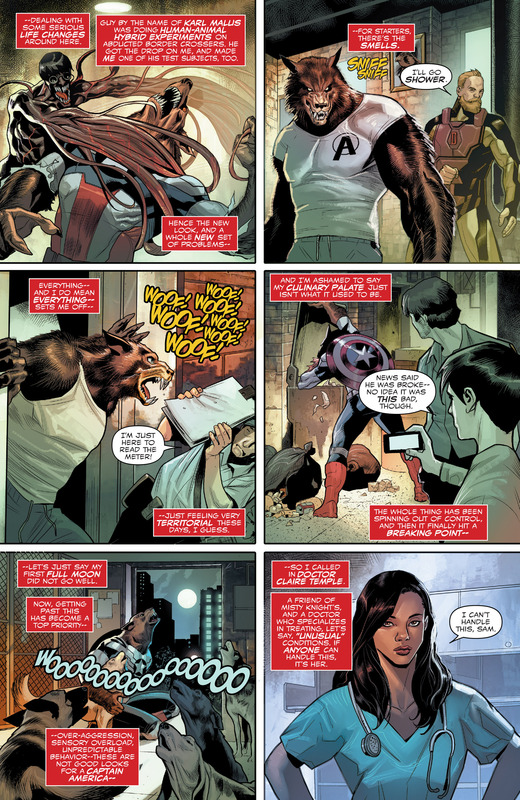 This entry was posted in Amazing Spider-Man and tagged jessica drew, review, spider woman on April 8, 2015 by lowbrowcomics. 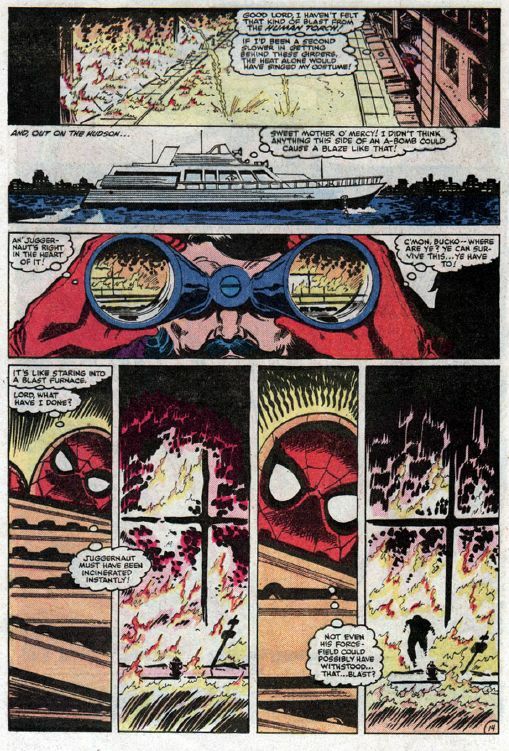 Ace photographer Peter Parker is on assignment taking pictures at a celebrity public fundraiser for the New York Public Library for the Daily Bugle. 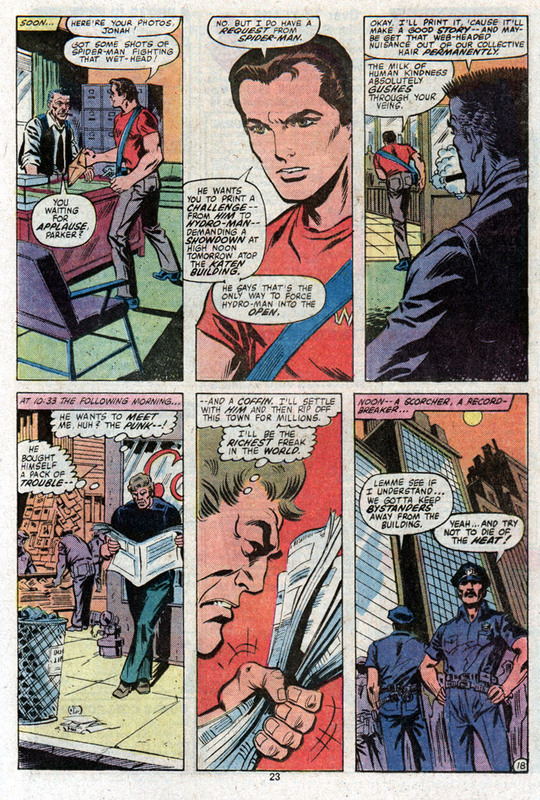 Eager to impress Mary Jane, Peter uses his press pass to get back stage to try and meet Captain America. 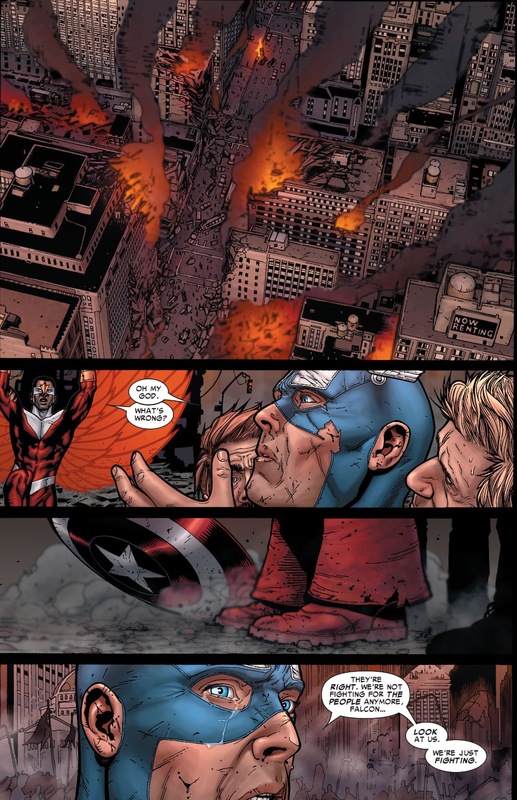 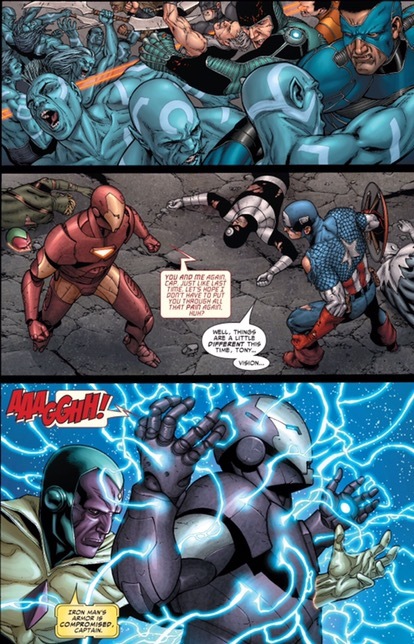 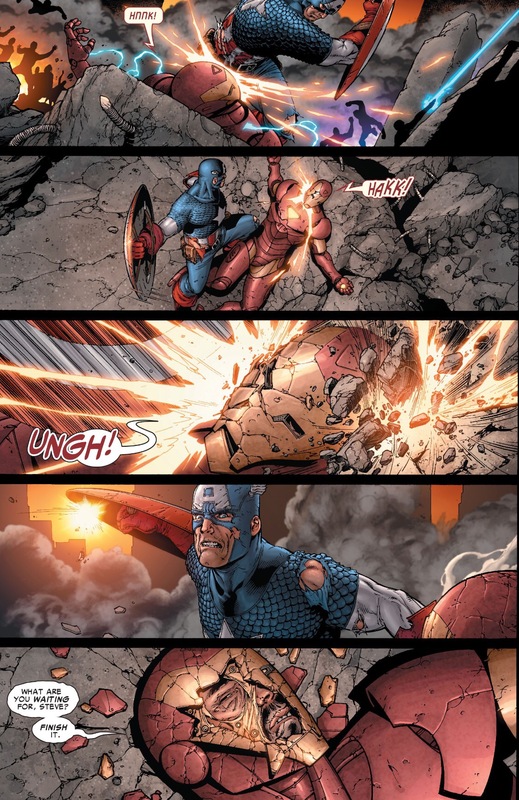 As soon as he gets backstage to meet Cap he hears a loud crash and screams. 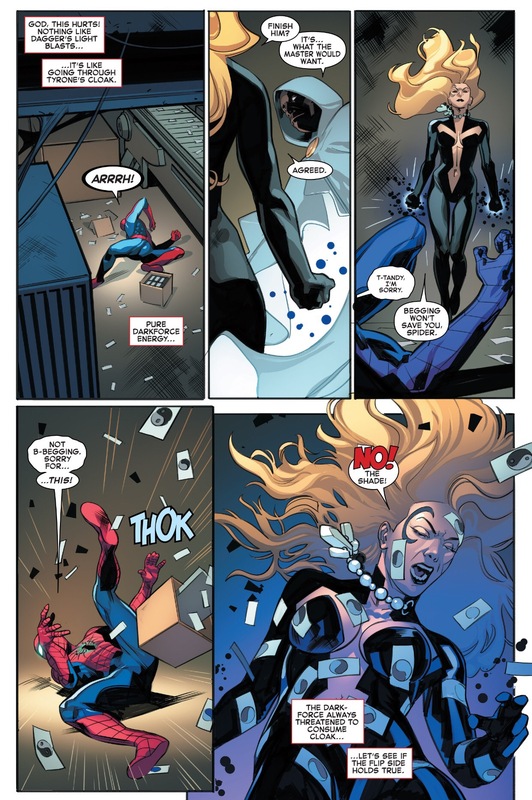 It’s The Shocker! 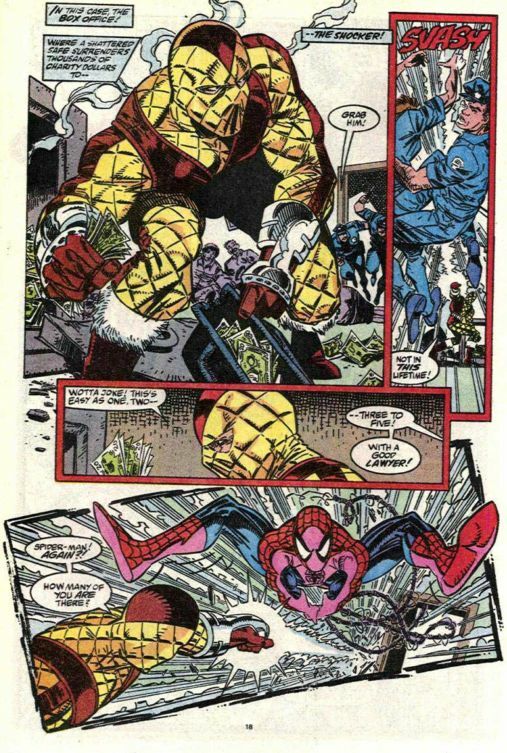 And he’s stealing all of the charity money! 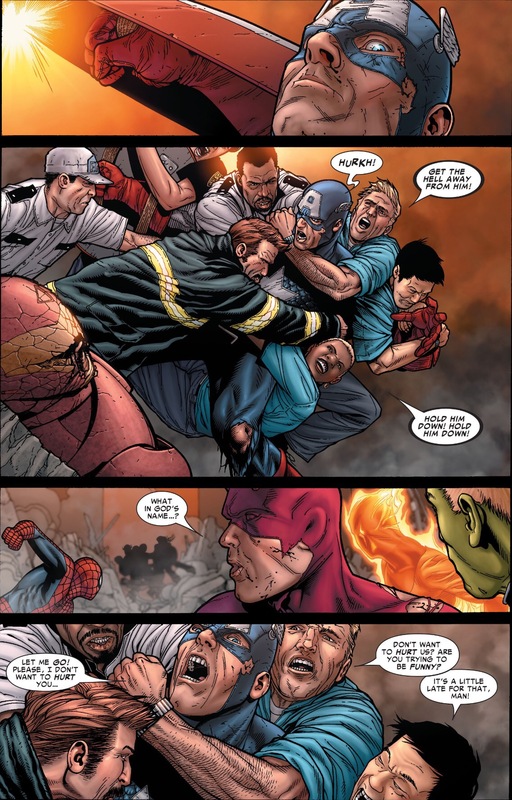 It’s up to Spidey to stop him. 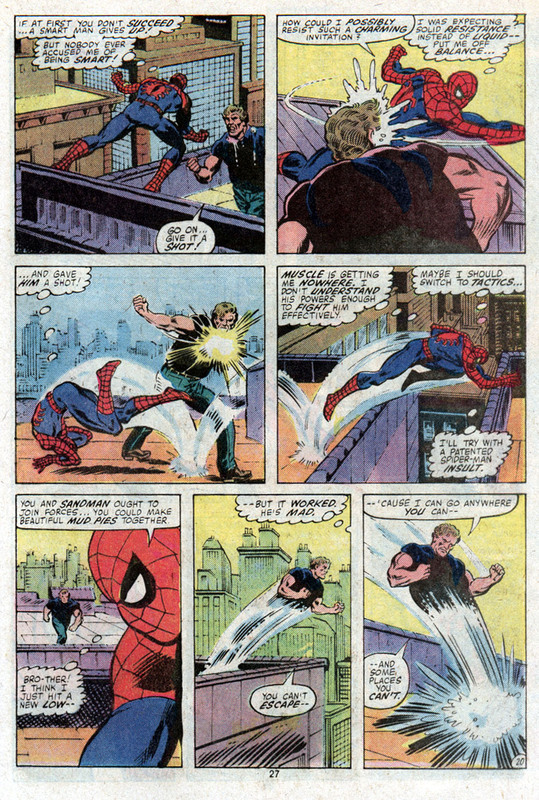 Spider-Man leaps into action and uses a healthy dose of science and some misdirection to put the squeeze on this padded freak. 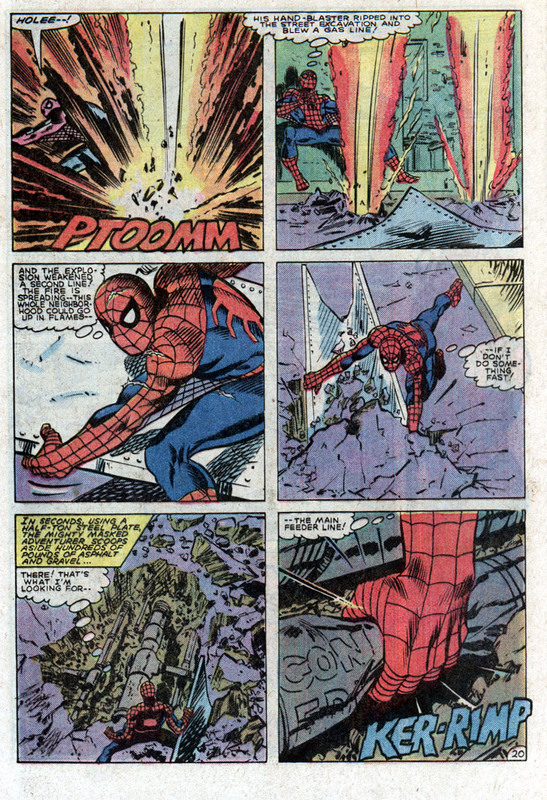 This entry was posted in Amazing Spider-Man on April 7, 2015 by lowbrowcomics. 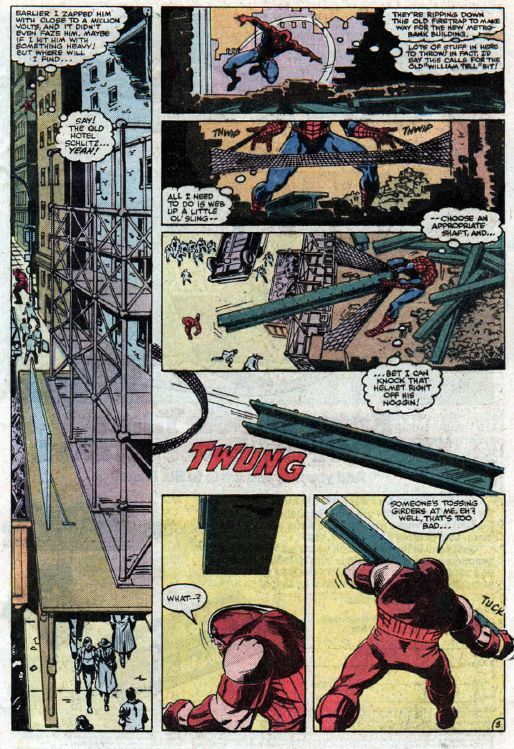 This entry was posted in Amazing Spider-Man on April 1, 2015 by lowbrowcomics. 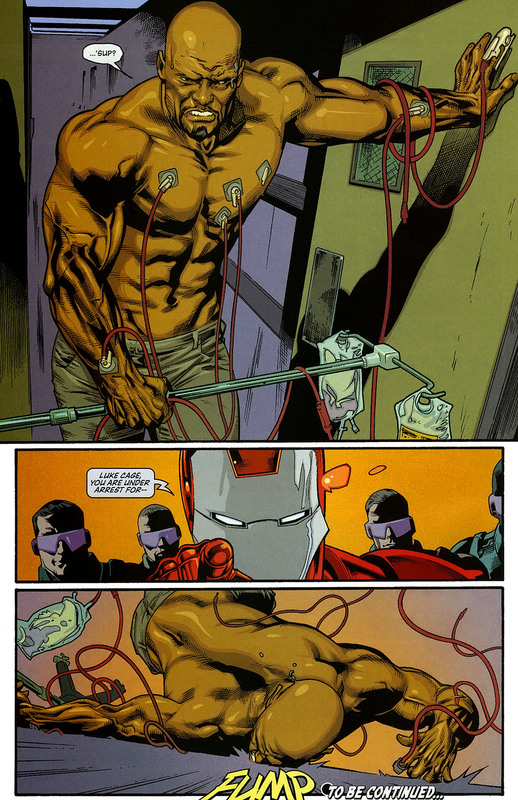 My swag is way too loud too! 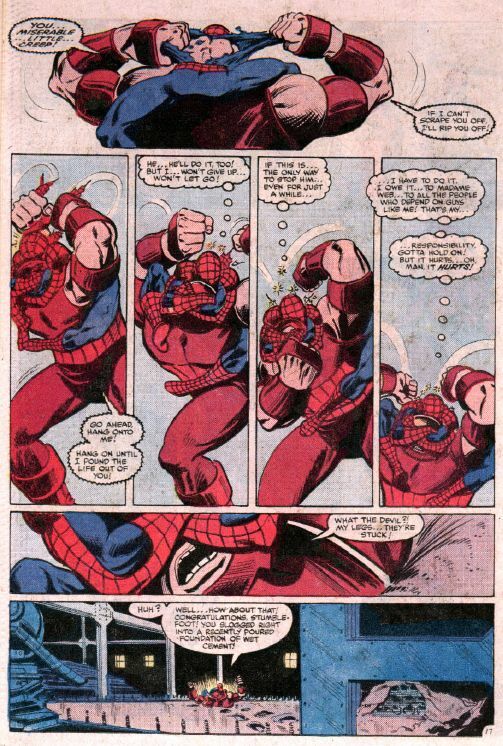 Before we get into the whole “who’s better” arguments, let’s just discuss the topic of how Spider-man even came to be. 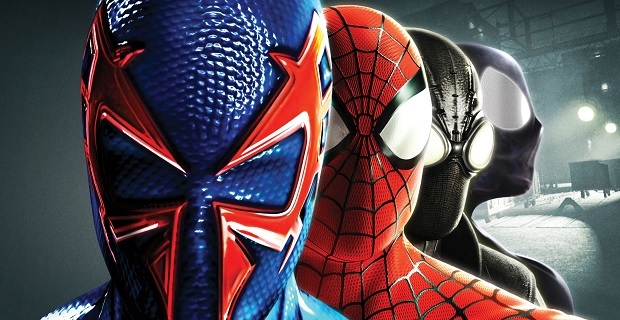 Spider-man was never intentionally supposed to be made into a series. 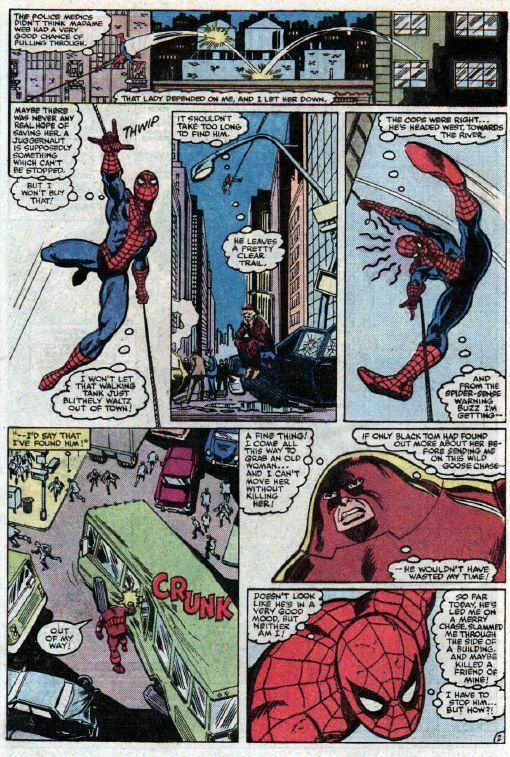 Martin Goodman, publisher of Marvel comics and other publications, was concerned that readers would stray away from the concept of spiders. 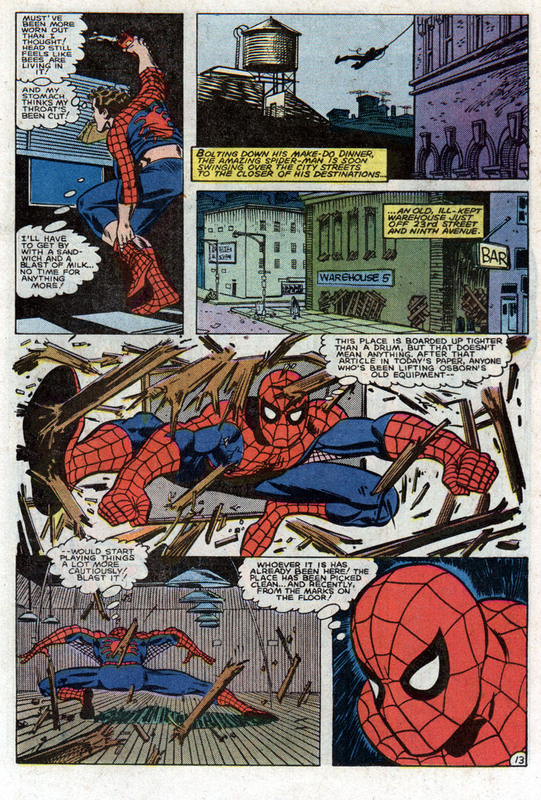 However, today Spiderman is one of the great figureheads of comic books, even having two rebooted films, three TV shows and multiple video games in the last two decades. 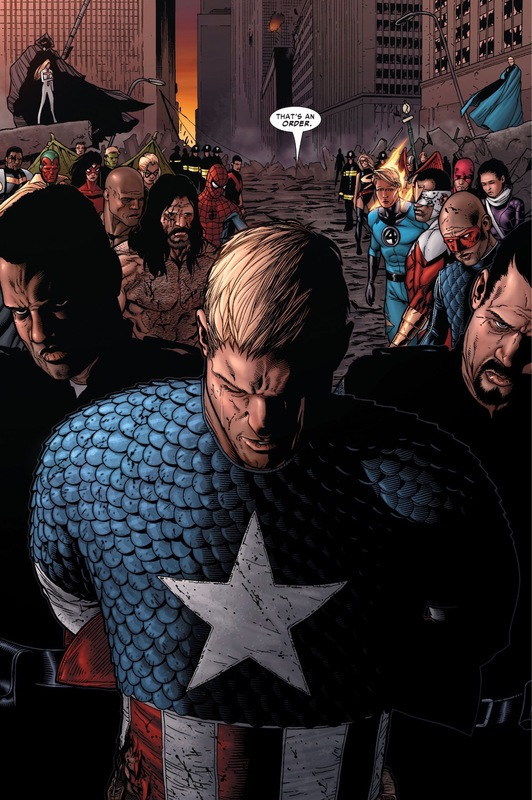 Jesus, how many of you are there?